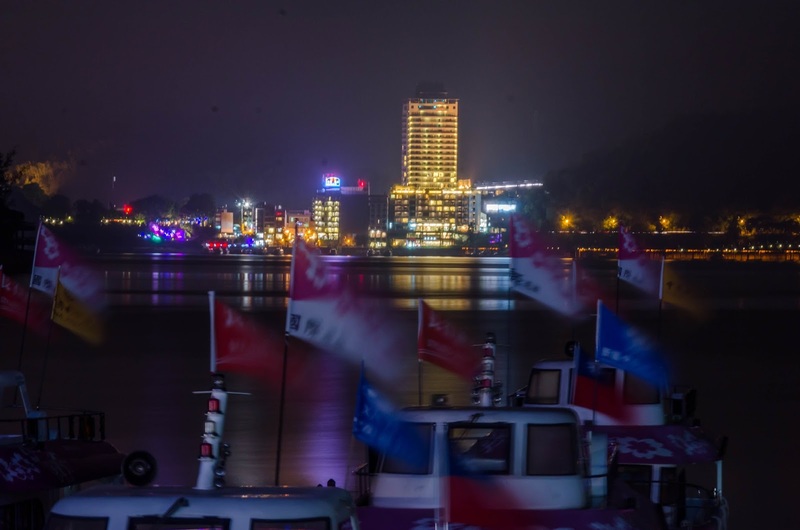 Originally we had planned to leave really early from Tainan to our next destination, the Sun Moon Lake. 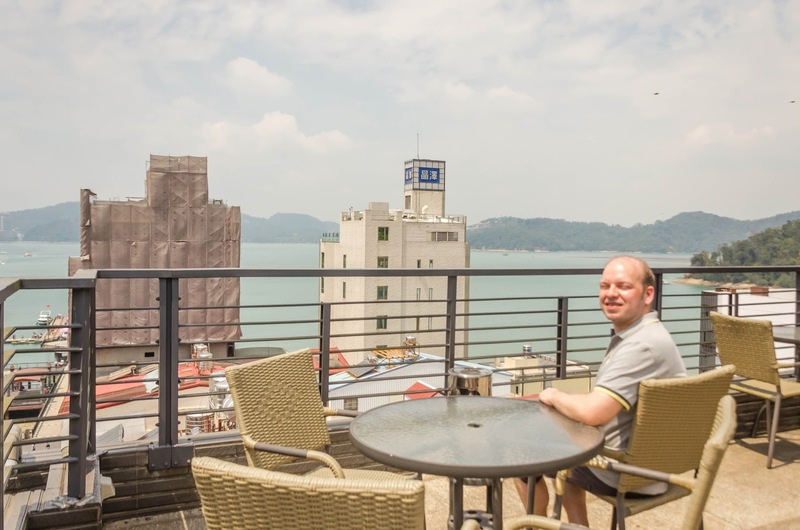 But then we would have missed the sumptuous breakfast at the Fuward Hotel. 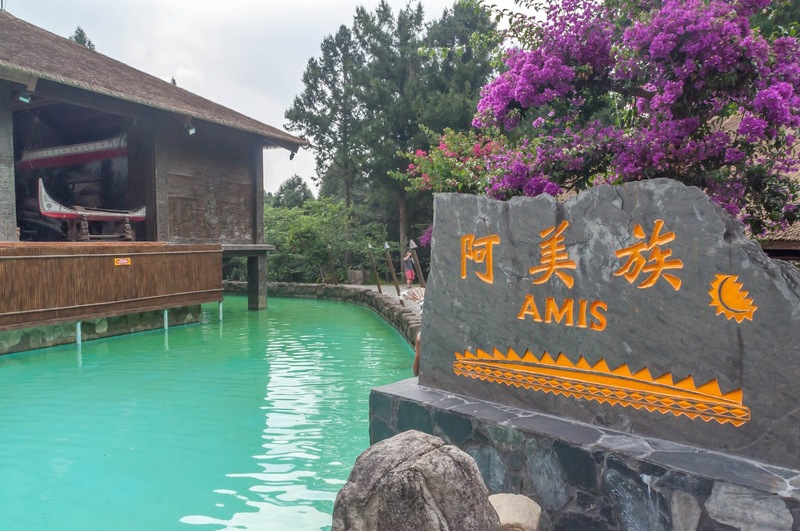 As the breakfast there had turned out to be so fabulous with a variety of cooked food, fruit, bread and much more, we decided to leave after breakfast. 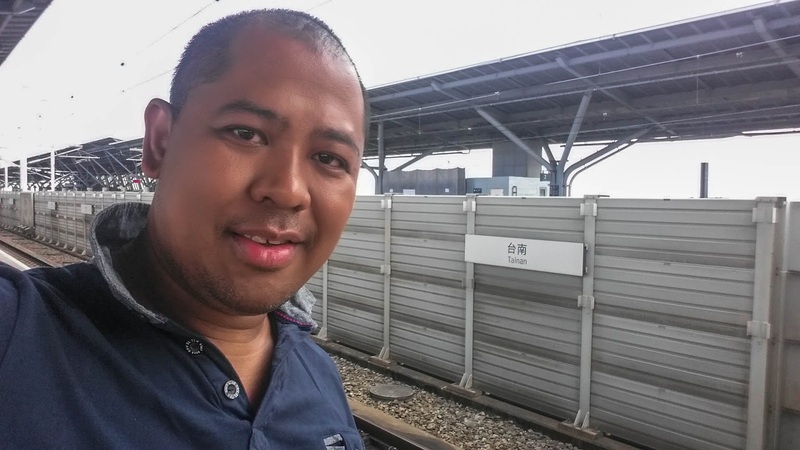 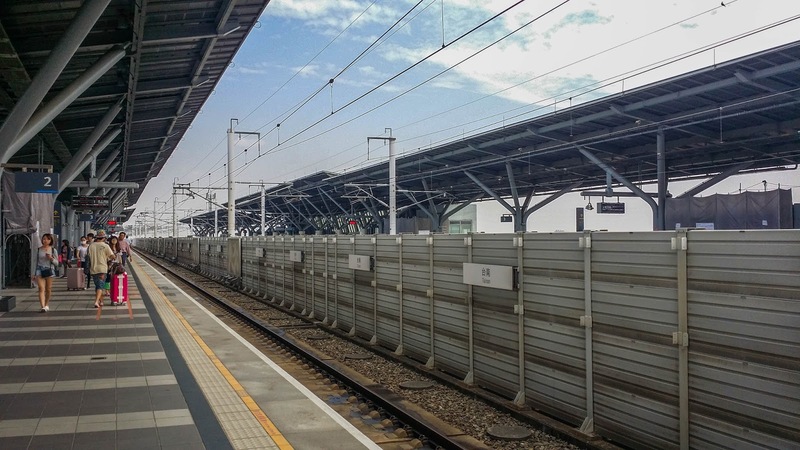 We asked at the hotel for a cab (12 Euro), and 35 minutes later we arrived at the Tainan High-Speed Rail Station and bought tickets for the 40 minute trip to the Taichung High-Speed Rail Station. 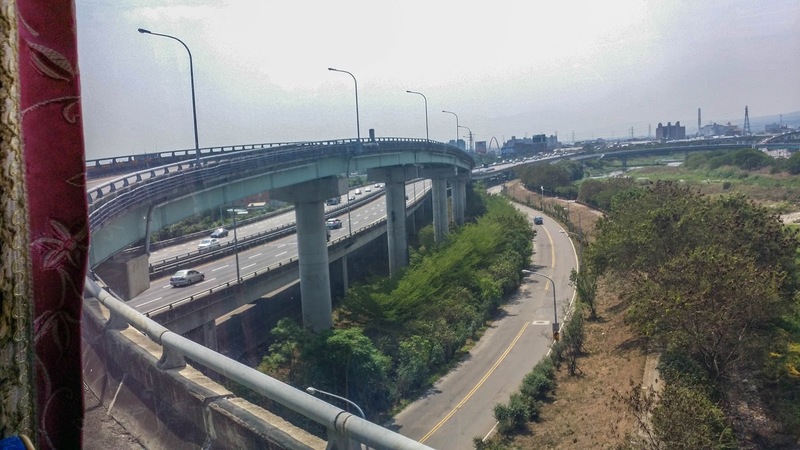 At the Taichung High-Speed Rail Station, we took exit 5, which lead to the busses, that go to the Sun Moon Lake. 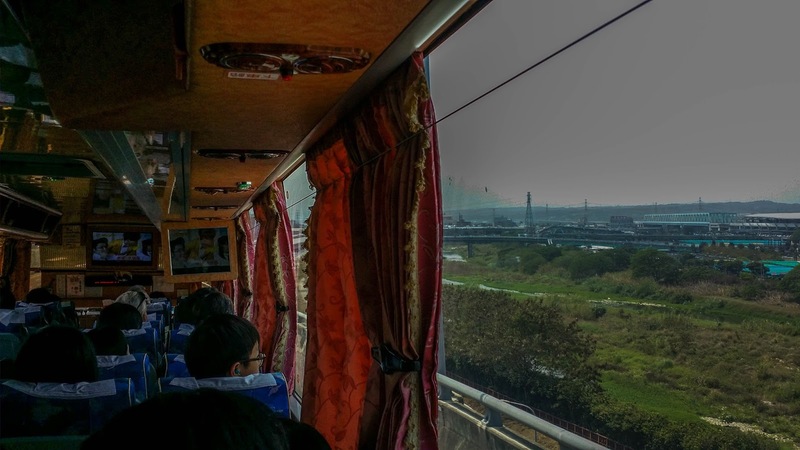 We bought a ticket and were lucky, as we could board pretty much immediately. 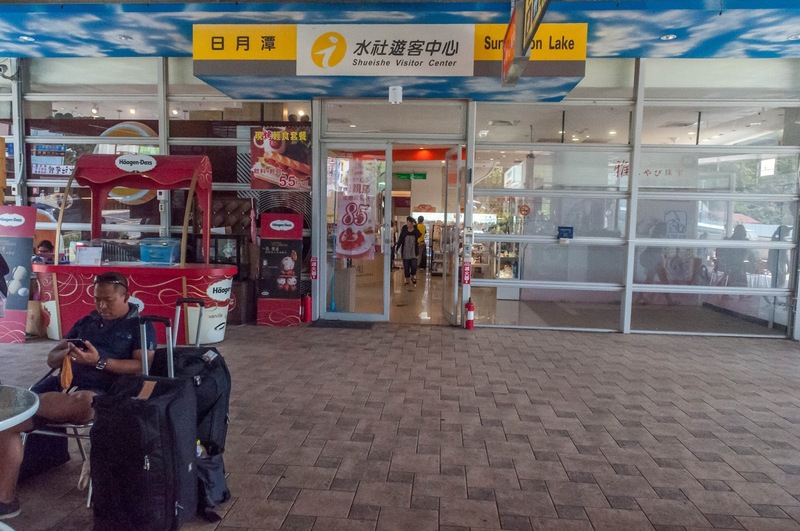 They took our luggage to store it inside the bus, and about 45 minutes later we arrived in Shueishe at the bus stop opposite the Shueishe Visitor Center. 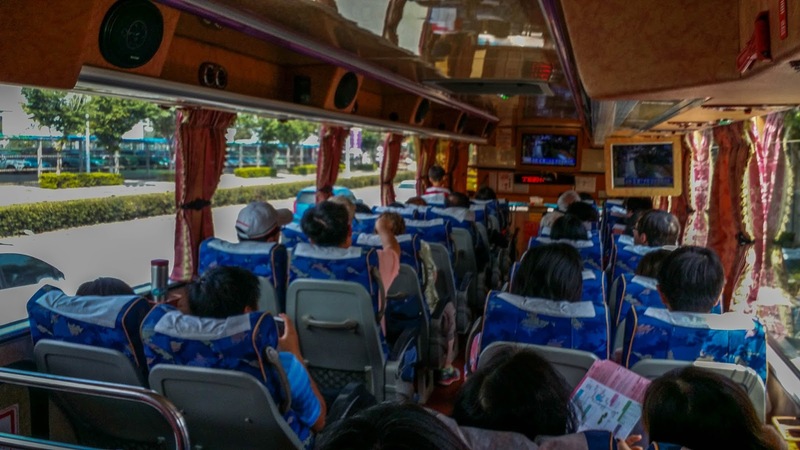 We bought day tickets for the Sun Moon Lake Bus and the Boat and also got bus timetables for the area. 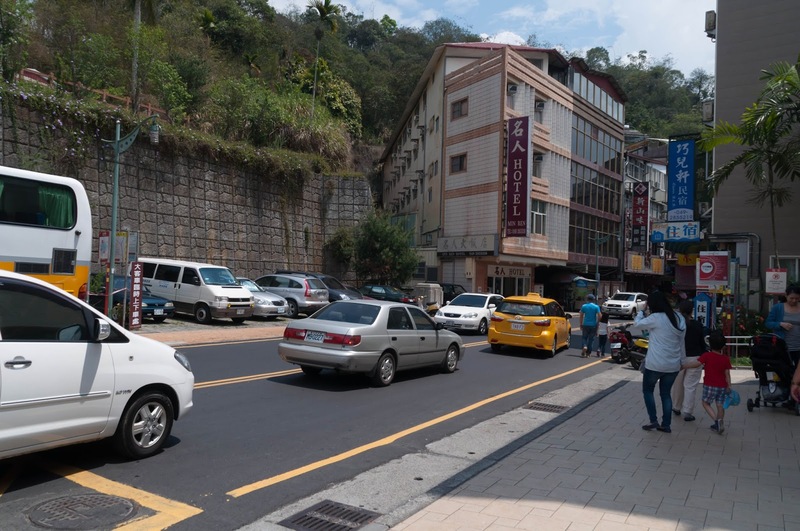 Shueishe is the main "town" at the Sun Moon Lake, where most hotels and restaurants are located and where also the main bus stop is. 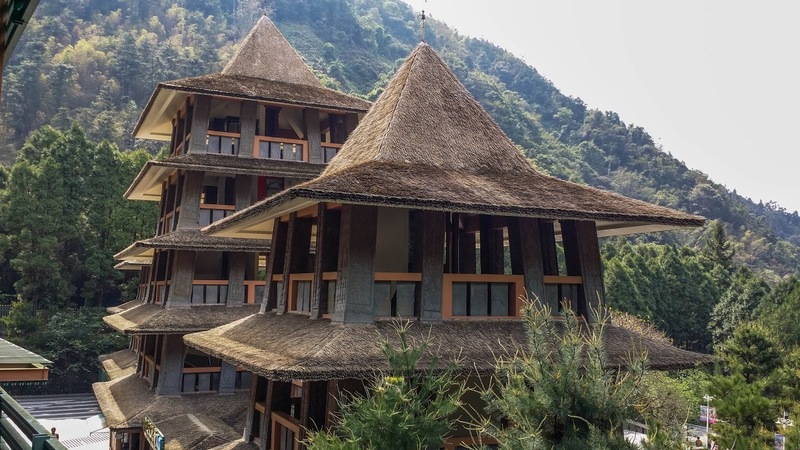 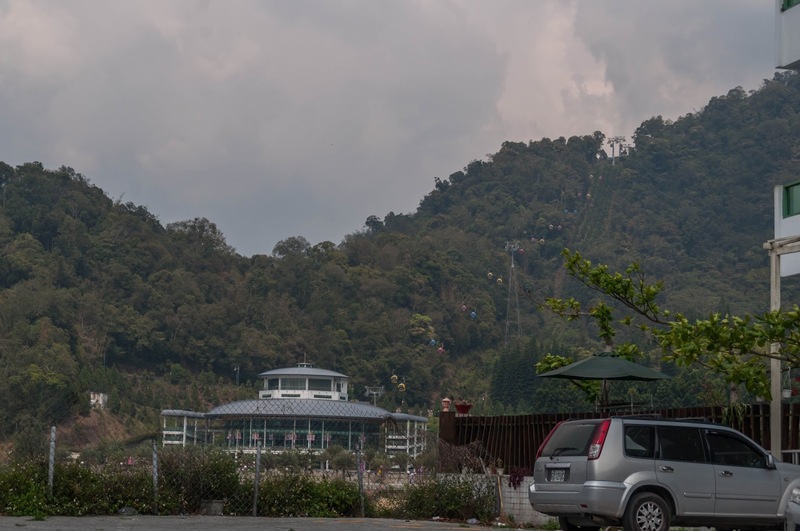 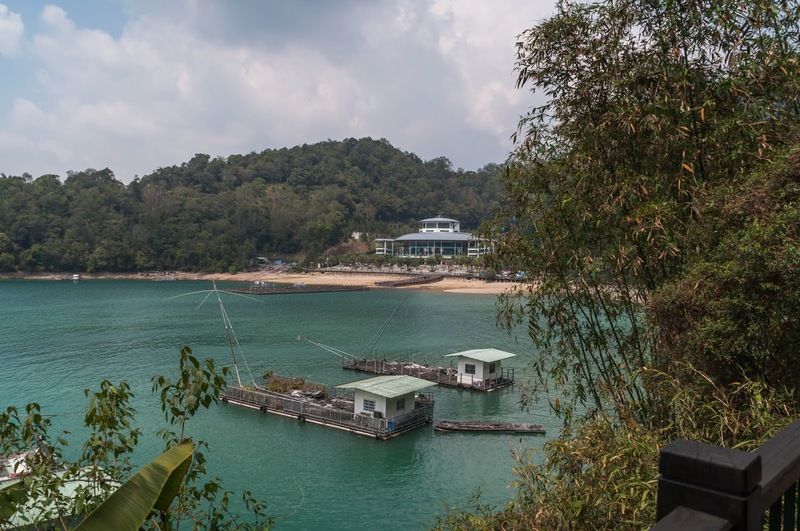 We, however, had found a fantastic looking hotel with great reviews at the other side of the lake and so had decided to stay in Ita Thao for three nights. 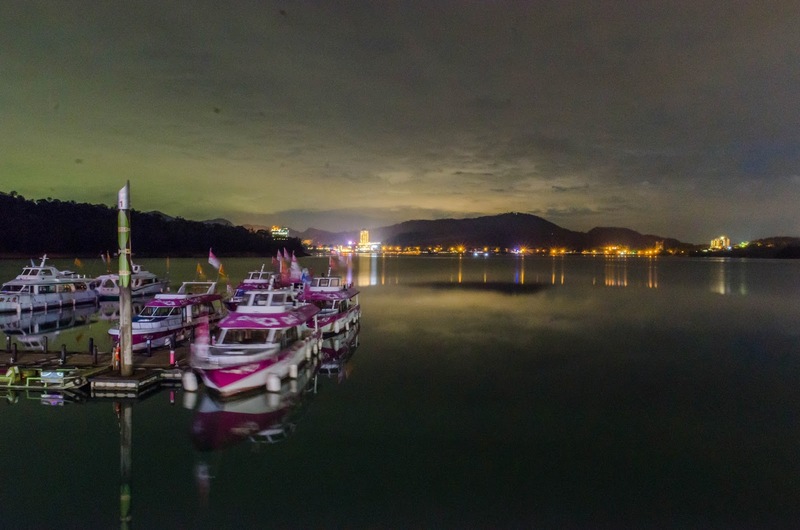 The Sun Moon Lake Shuttle Boat stops there and also the Lake Tour Bus. 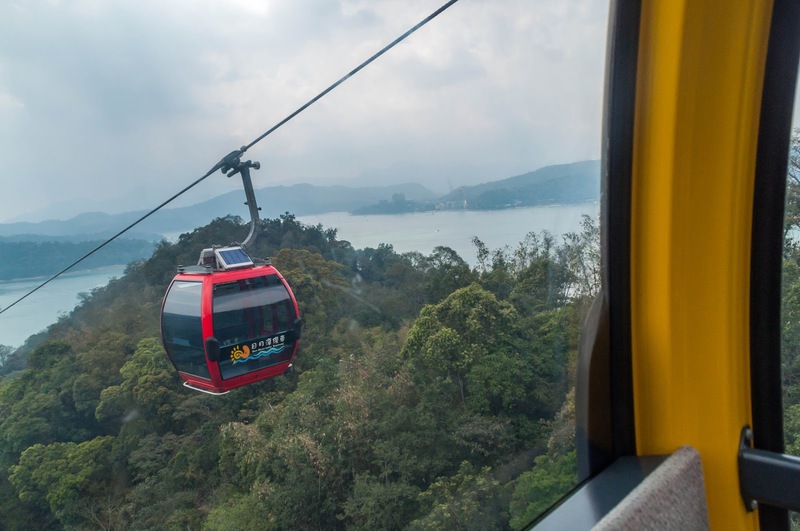 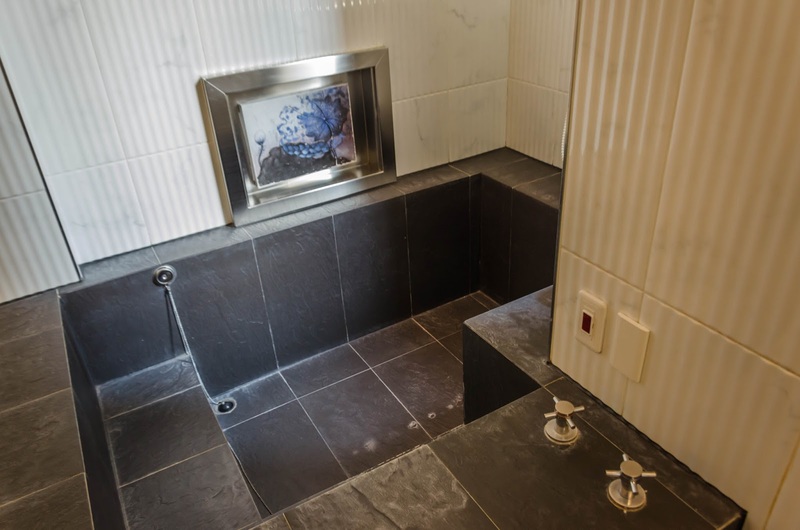 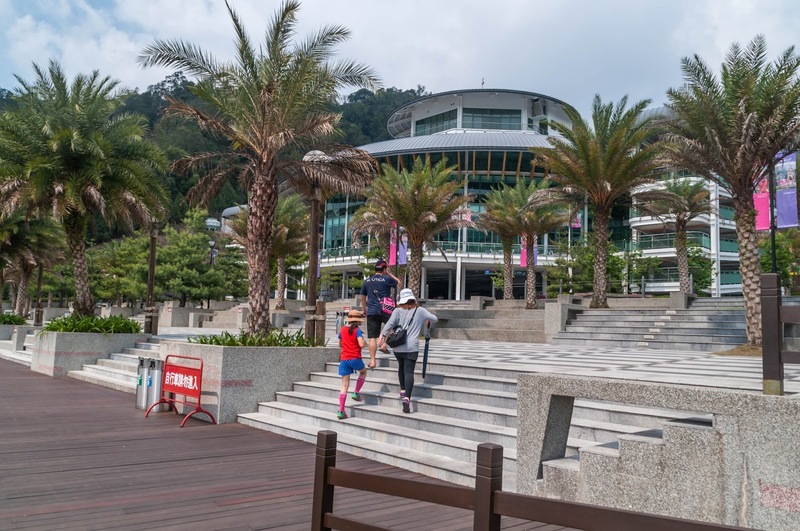 It is also within walking distance to the Sun Moon Lake Ropeway. 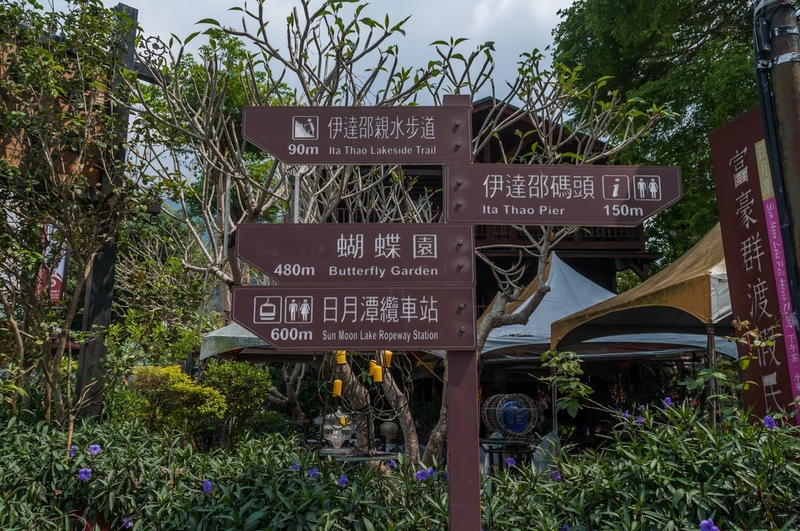 When we planned our journey, we read reviews of the Sun Moon Lake that ranged from "wonderful" to "disappointing". 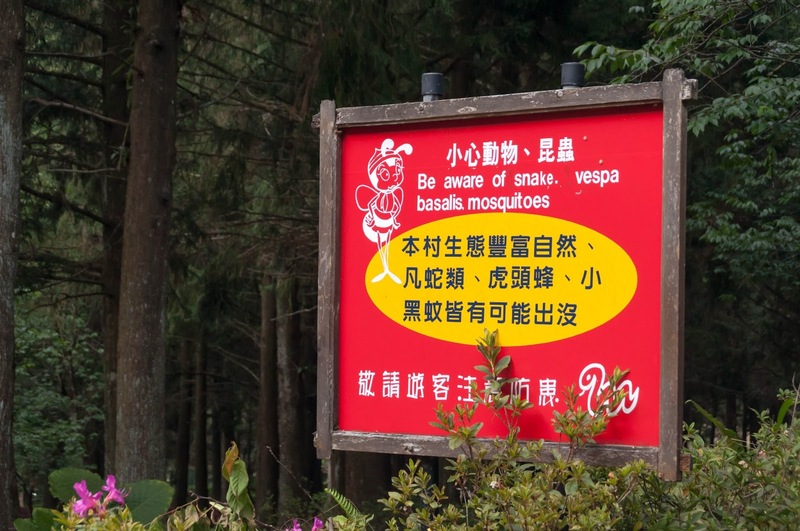 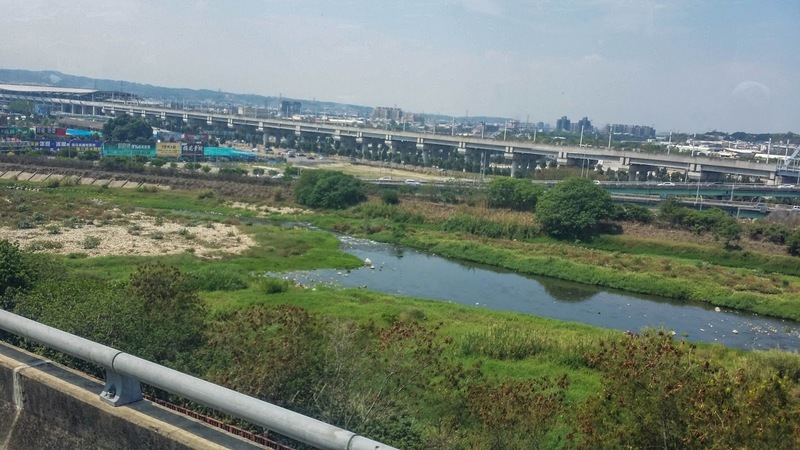 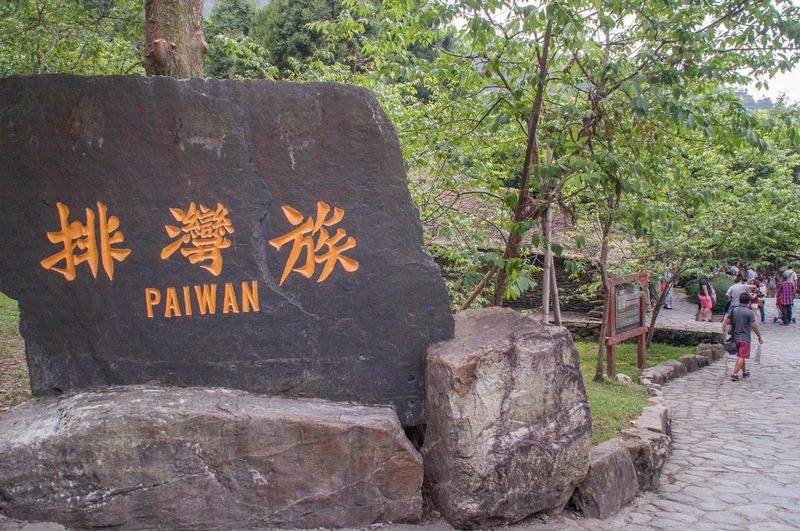 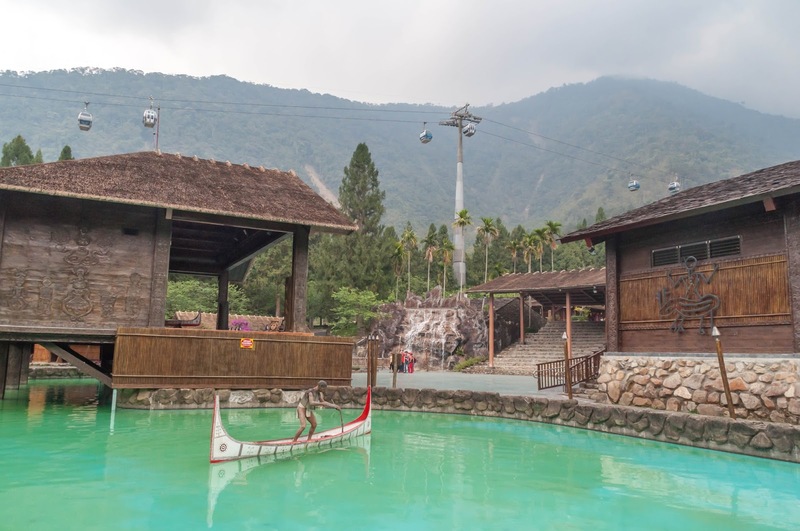 I tended towards the first - It is a huge lake surrounded by many green mountains, and it was a completely different side of Taiwan than the "Temple City" of Tainan and the busy port city of Kaohsiung. 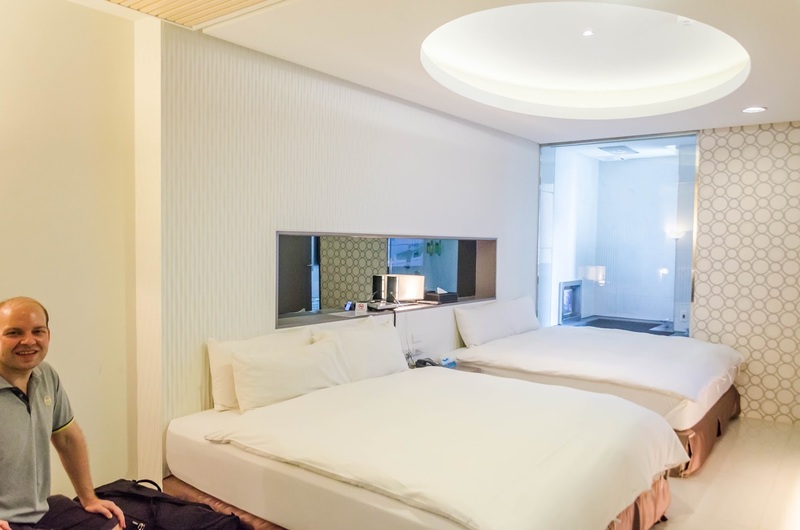 Our joy even grew, when we arrived at our hotel, the Skylight B & B Hotel. 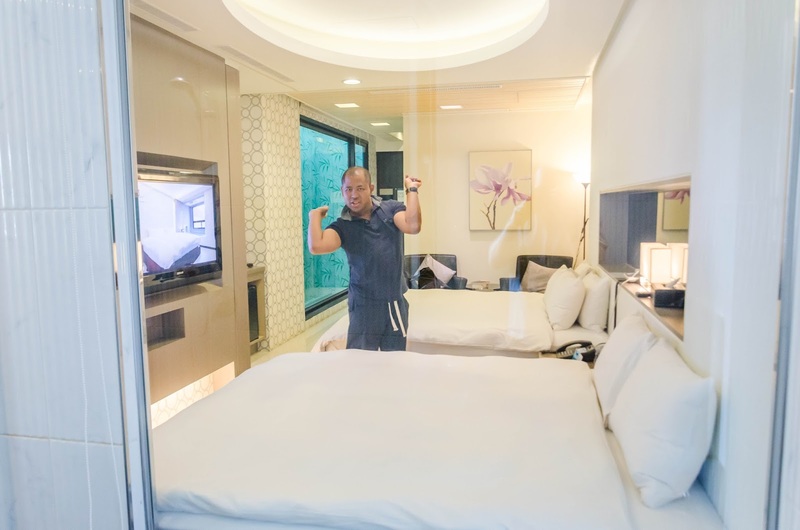 We had a big, quiet room on the 5th floor with refrigerator, big flat screen tv with many channels and an onsen-like bath. 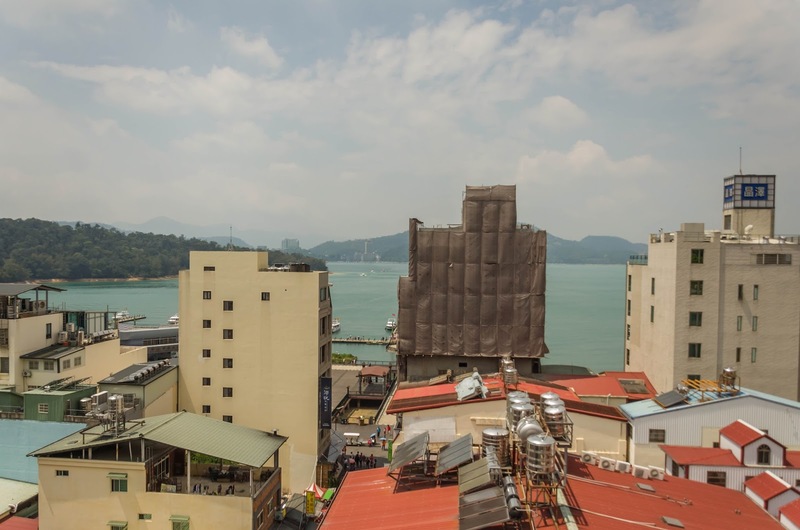 The only small window was in the bathroom, but that was no problem for us - therefore you have a Sun Moon Lake view from the breakfast area at the top of the building. 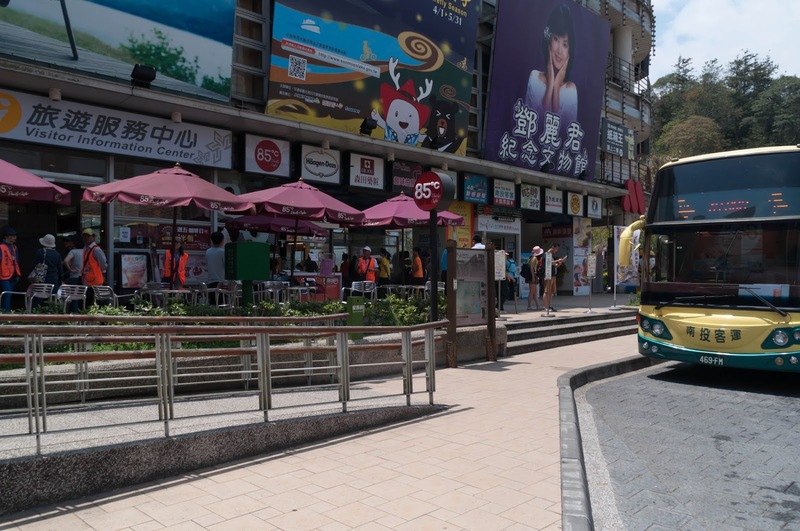 The hotel is also conveniently located in the centre of the village, just a few steps from the bus stop and the boat pier. 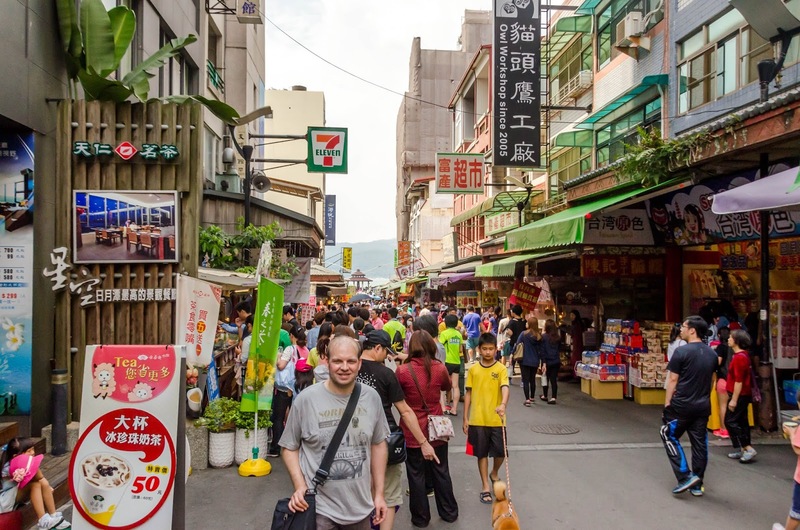 We didn't want to waste time and so first quickly stocked up at a 7-Eleven - these shops seem to be spread out all over Taiwan, but it's a good thing, as they all also have ATMs. 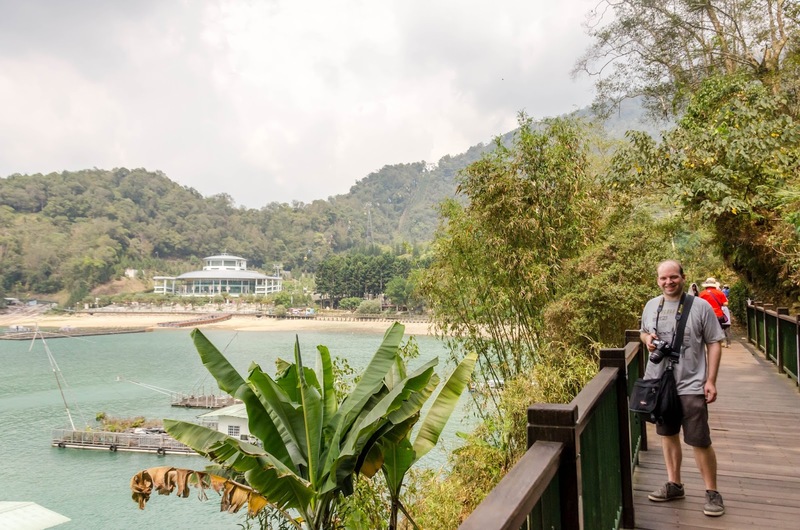 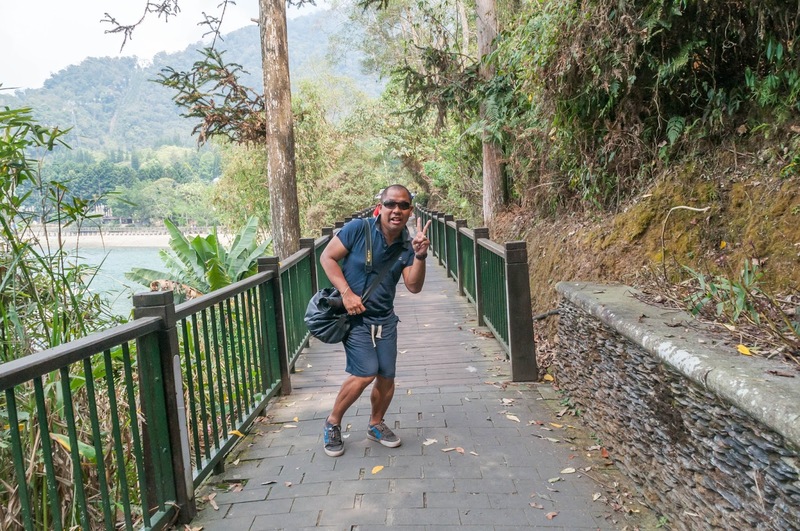 Then we walked to the Ita Thao Lakeside Trail, which leads along the lake from the north of Ita Thao village to the Sun Moon Lake Ropeway. 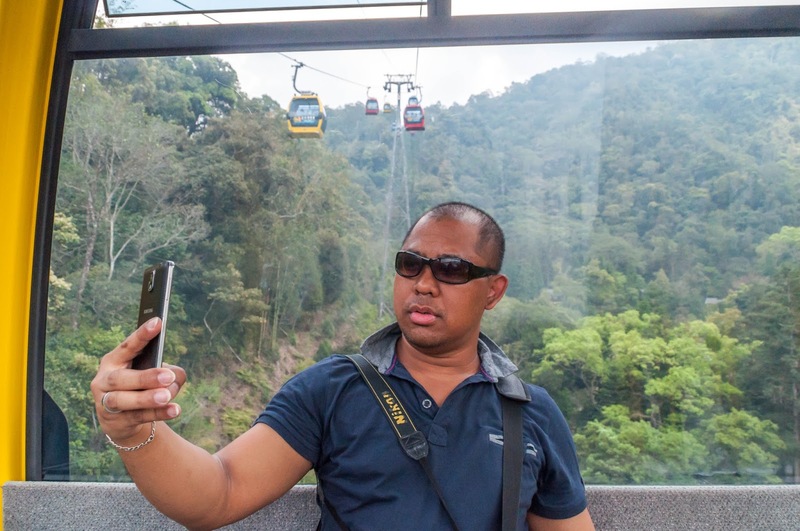 We had read, that on weekends it´s a nightmare to get a ticket for the ropeway because it's so busy with tourists. 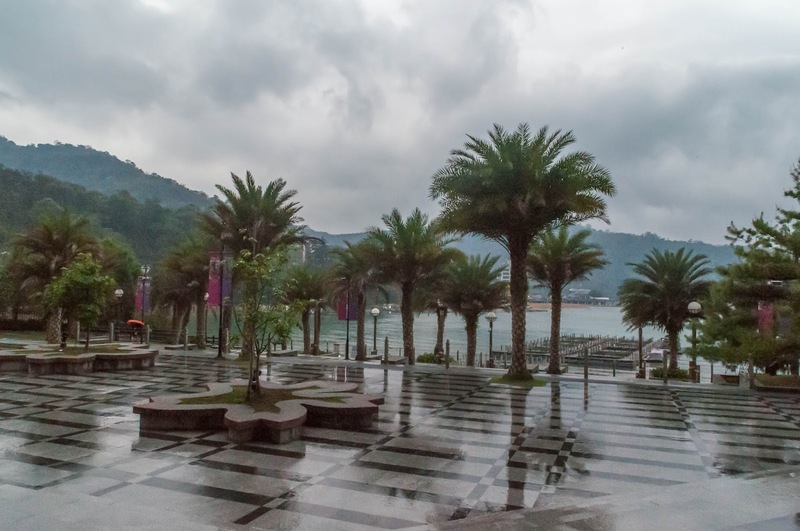 So we had planned to start our Sun Moon Lake adventure on a Monday. 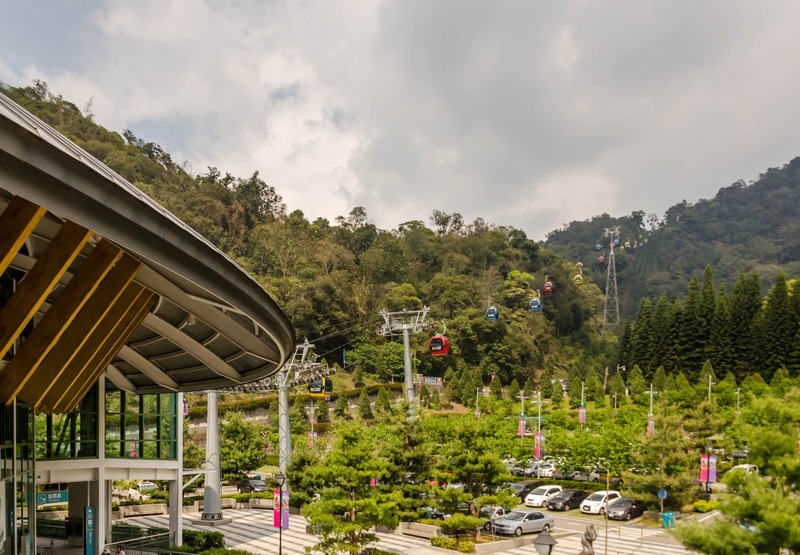 That proved to be a right decision - there was nearly no queue, and we bought a ticket for the ropeway as well as for the Formosan Aboriginal Culture Village, which is a theme park and has one of its entrances at the last stop of the ropeway. 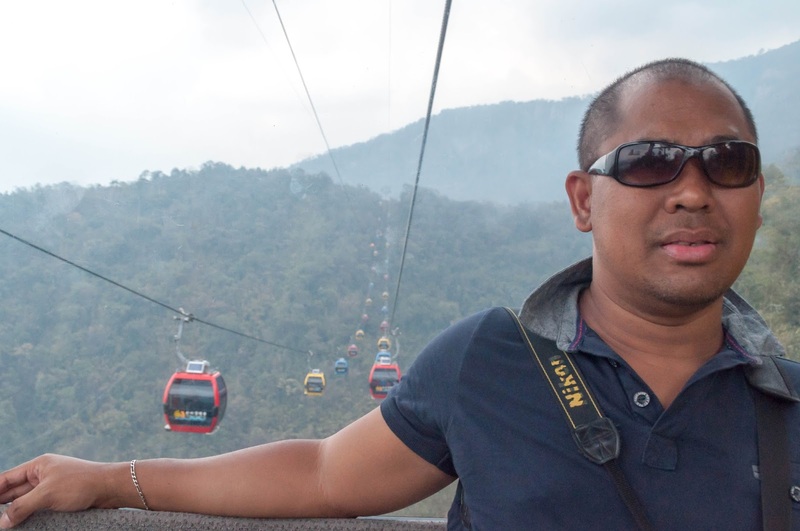 Then we went off with the ropeway, which brought us in about 10 minutes over the mountains and allowed great views. 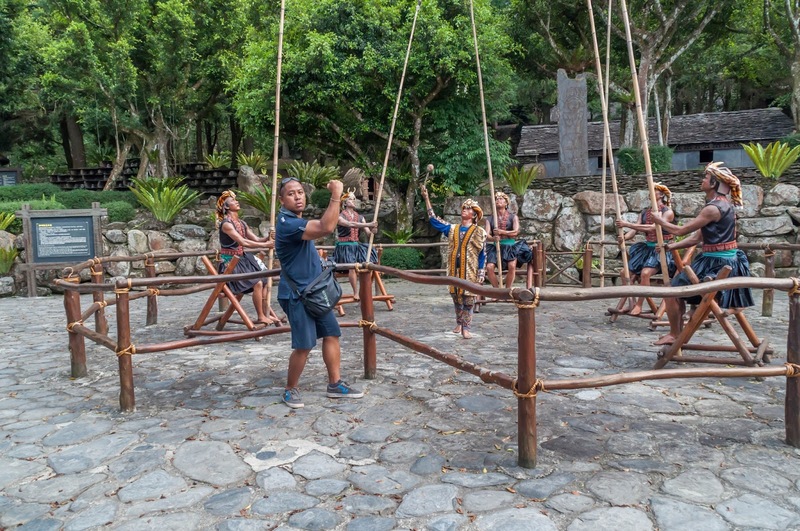 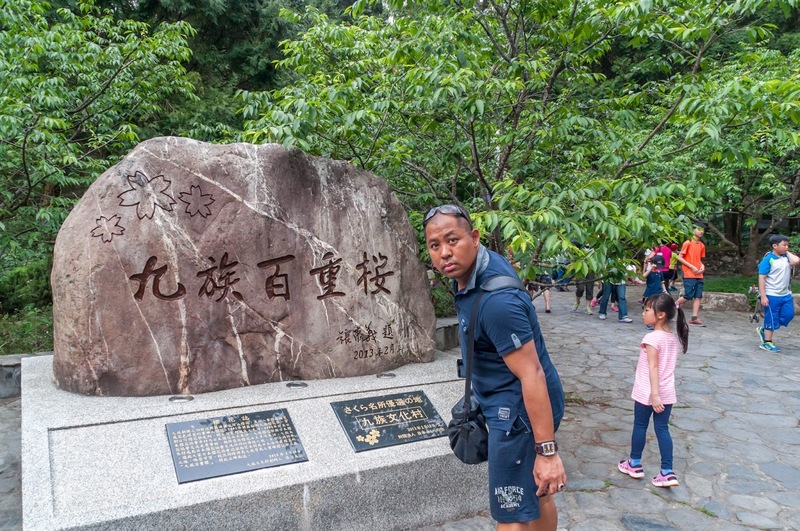 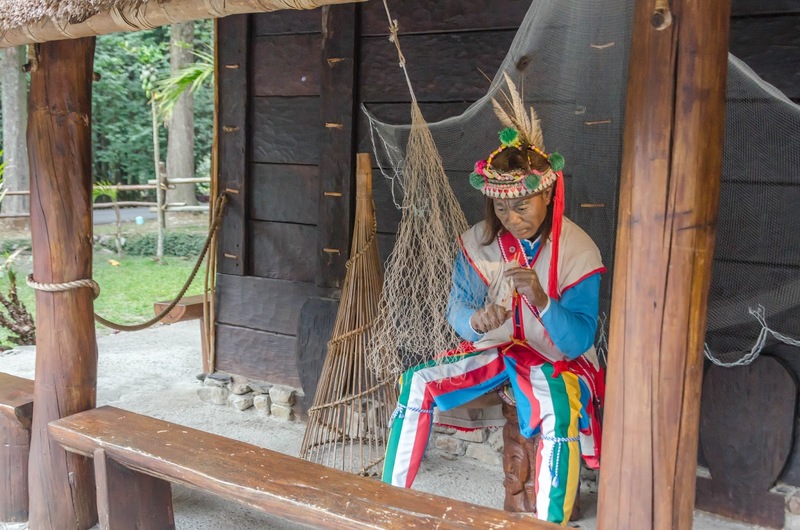 When we exited the ropeway, we directly came to the entrance of the Formosan Aboriginal Culture Village. 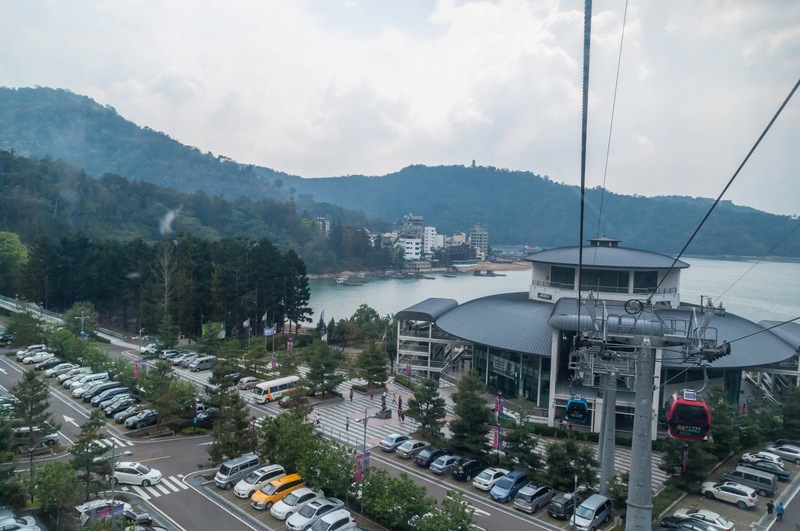 It was already 2 p.m., and the ropeway would only operate until 4.30 p.m. - so we, unfortunately, didn't have much time. 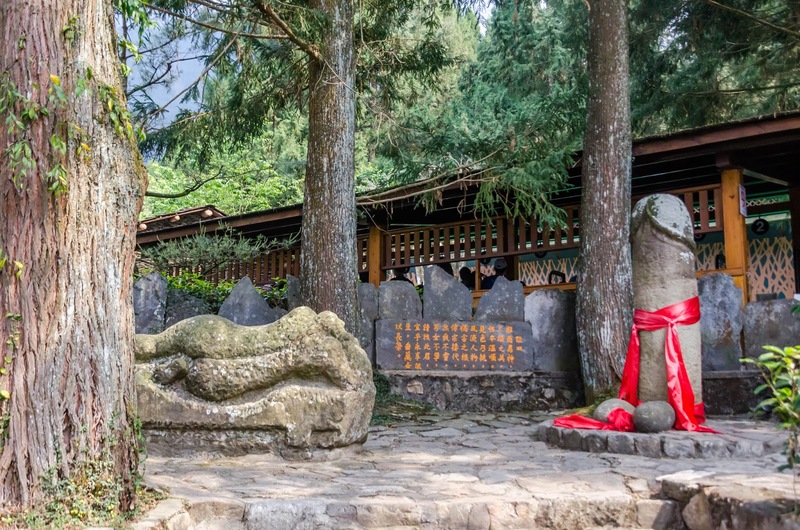 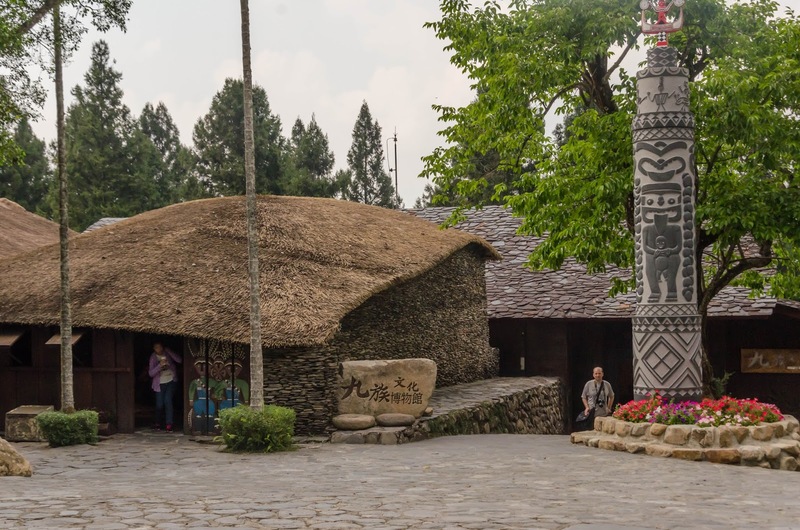 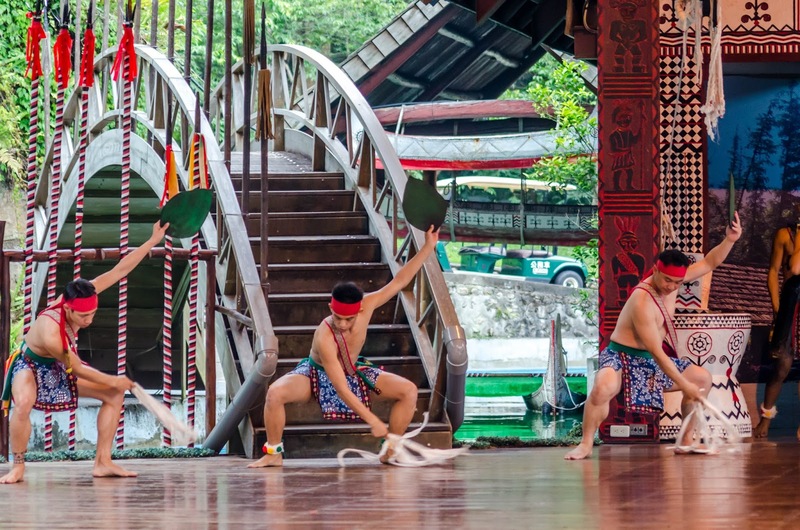 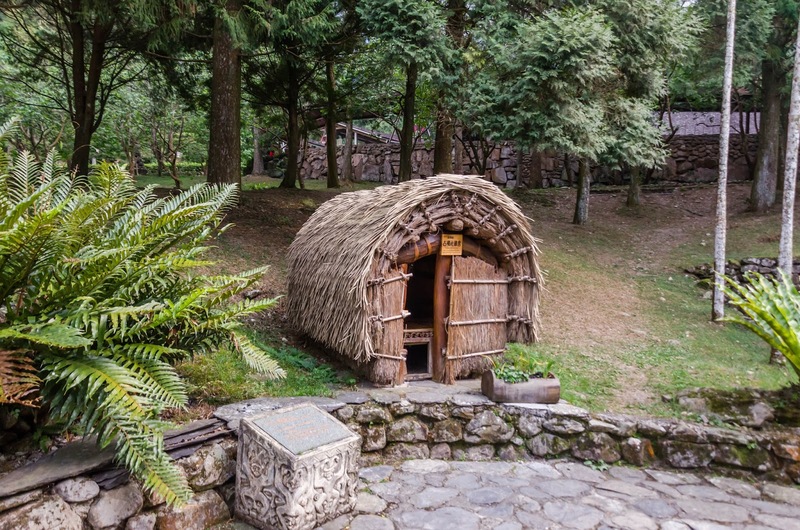 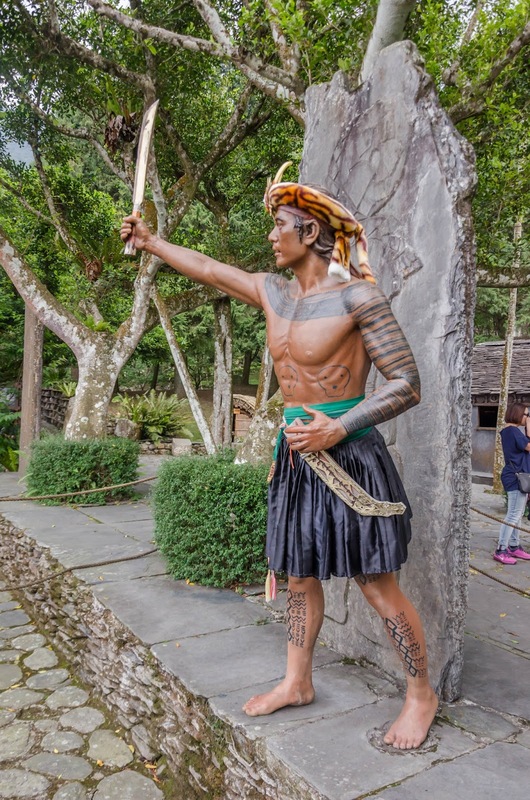 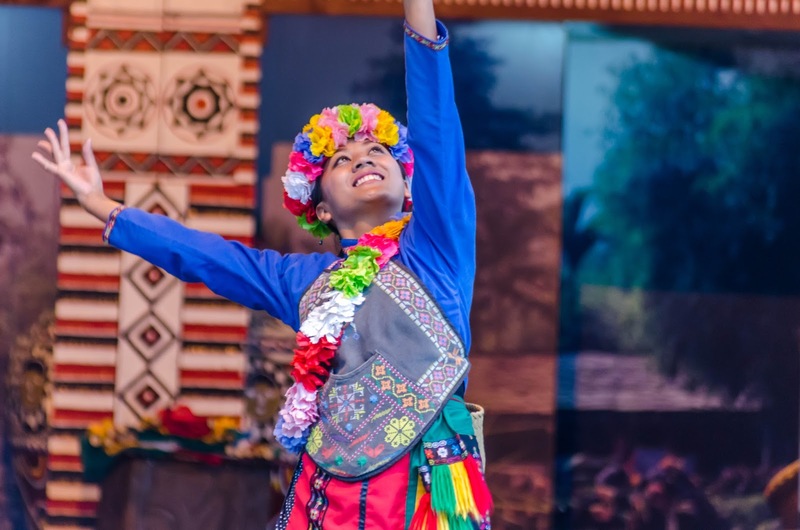 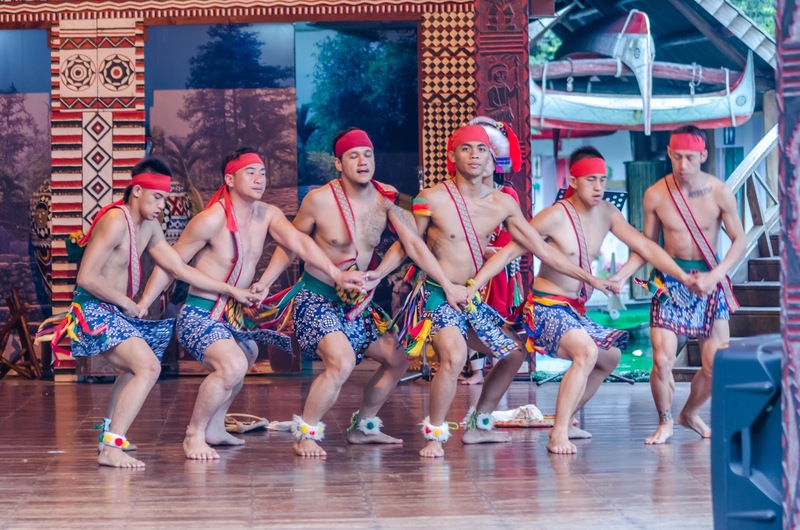 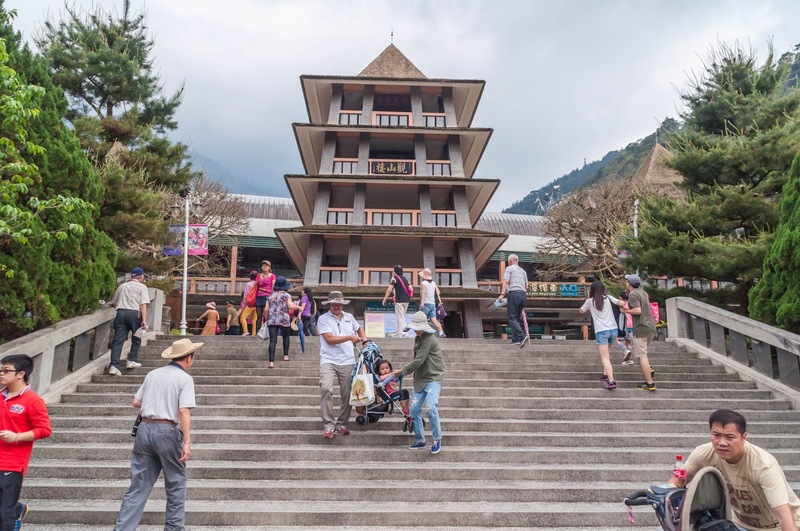 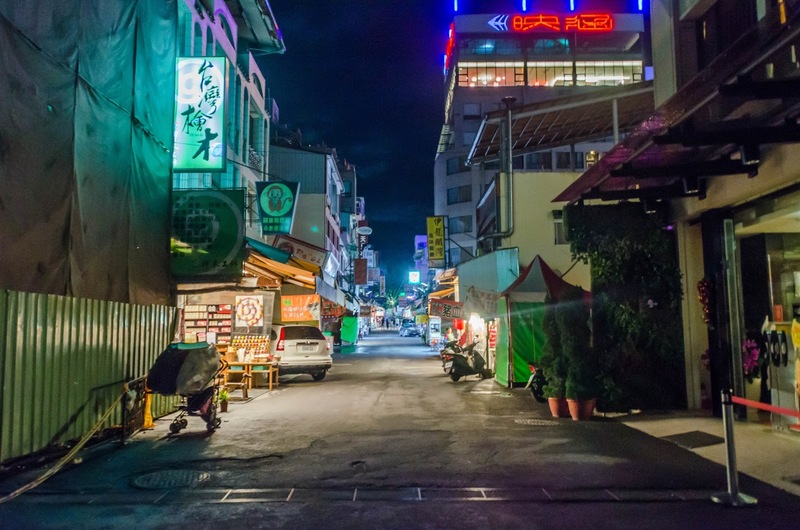 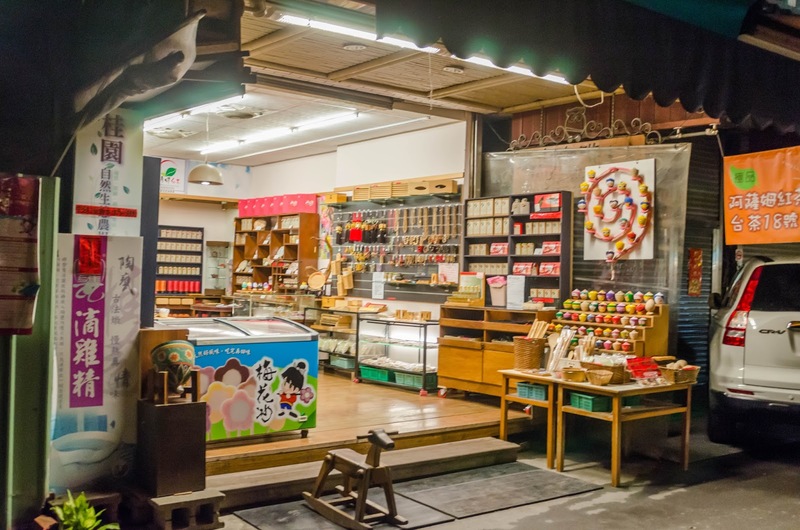 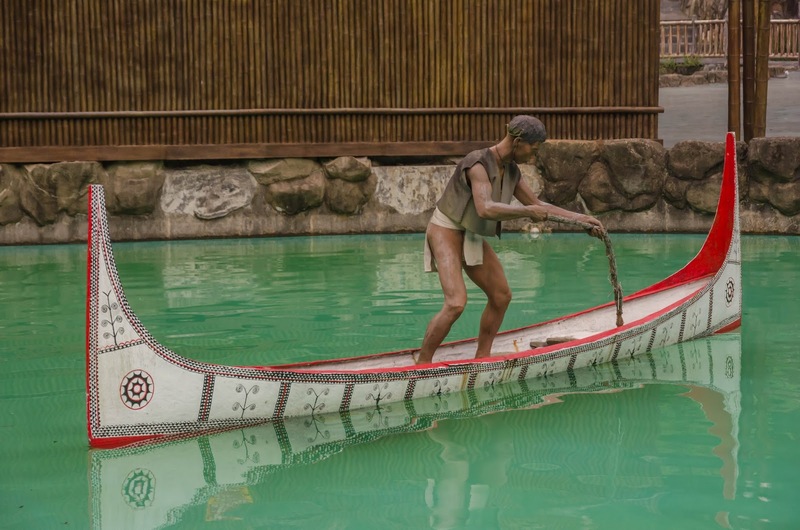 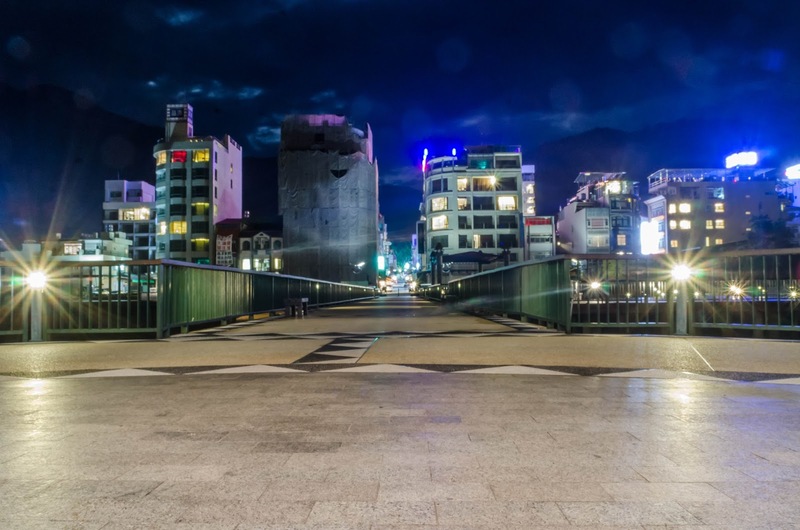 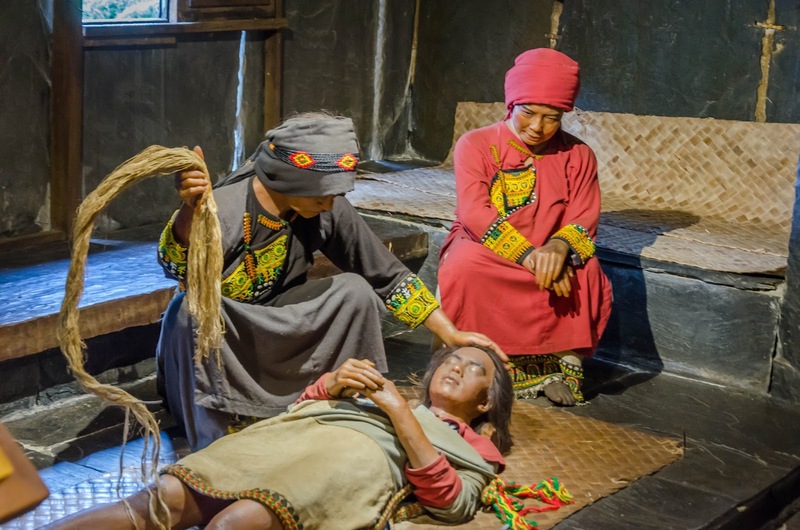 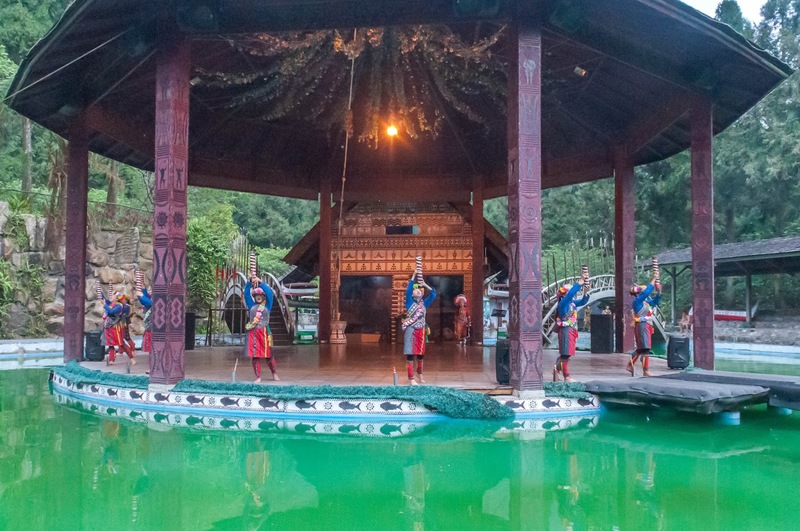 The Cultural Village shows the tradition and architecture of different tribes in Taiwan and also has an elaborate amusement park section with rides like "Jurassic Cruise", "Caribbean Splash", "Space Mountain" and "Maya Adventure". 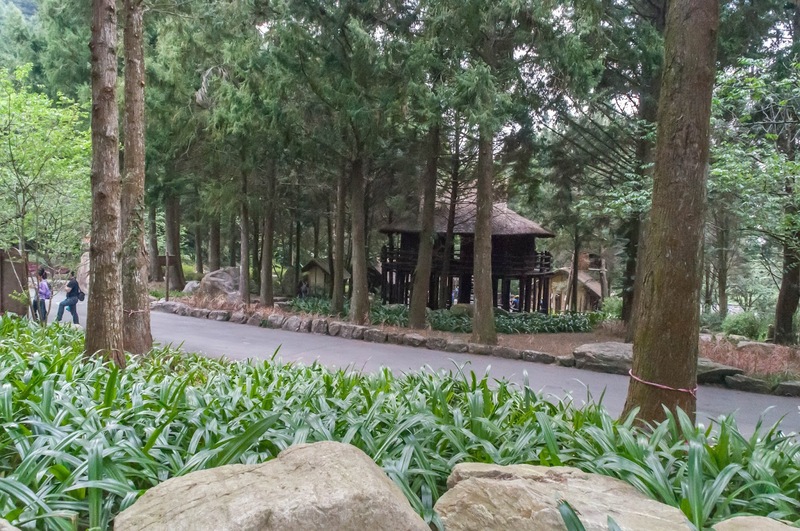 It also has a "European Palace Garden". 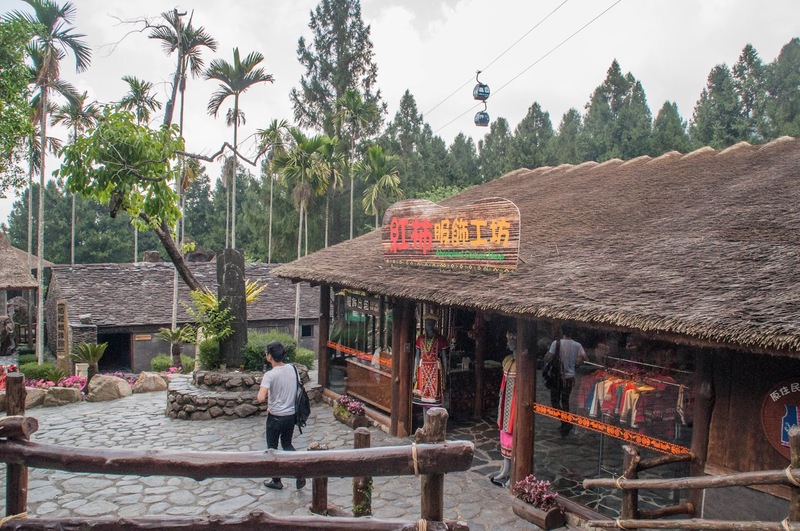 We were most interested in the "Aboriginal Villages". 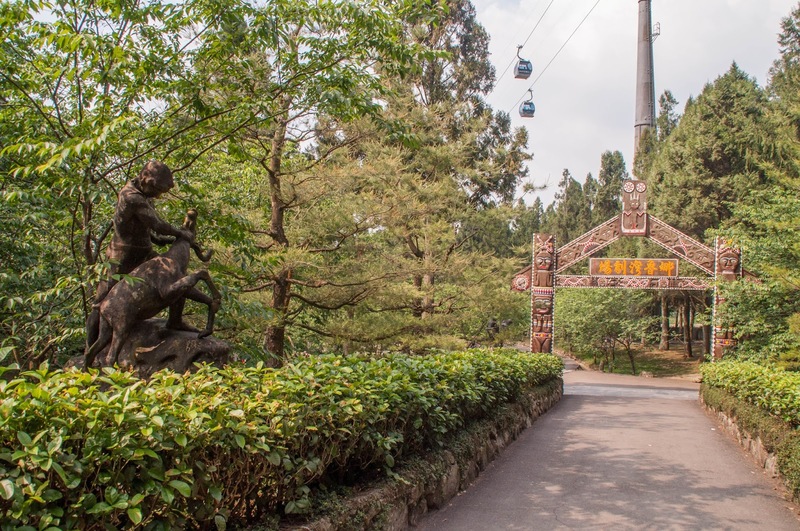 So instead of taking another ropeway that leads to the amusement park section we just walked downwards through the aboriginal part of the park. 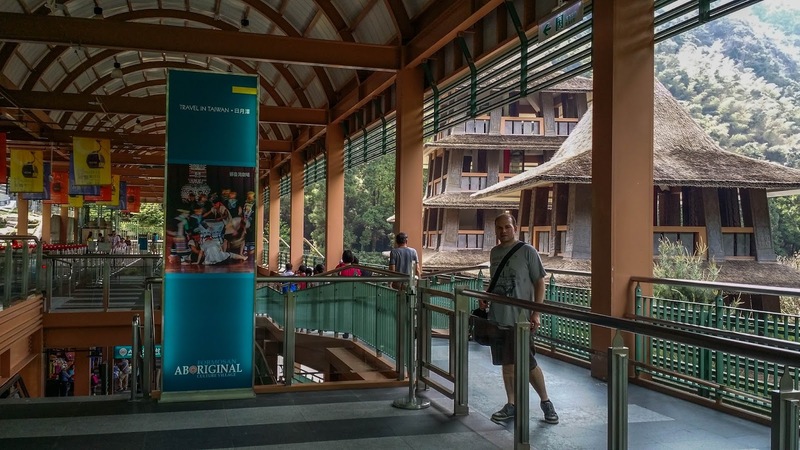 There was so much to see, we didn't even finish the "Aboriginal Villages" and just saw some of the tribe sections, like the Paiwan, the Amis and the Thao. 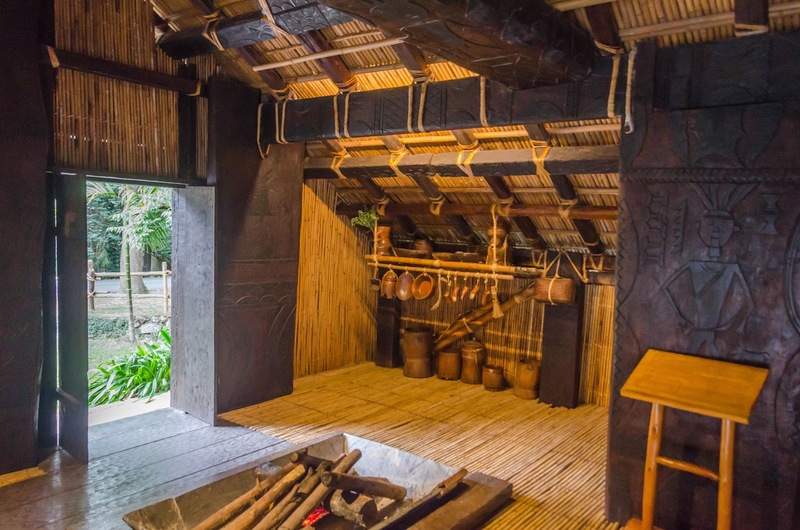 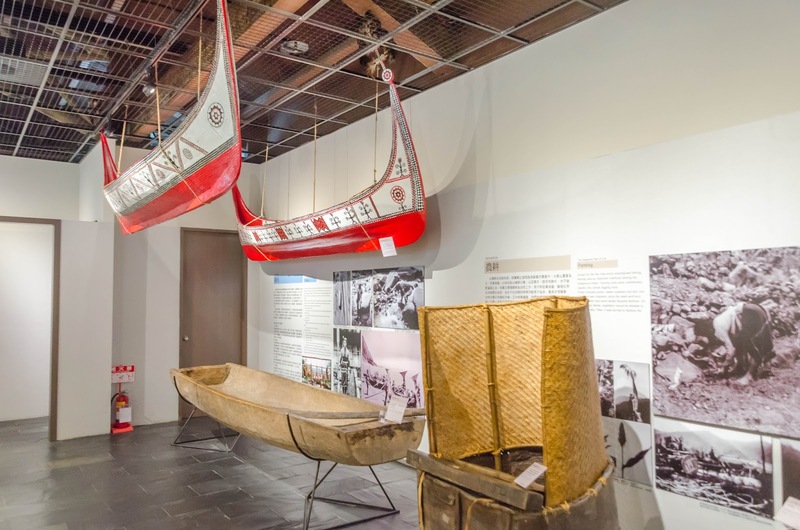 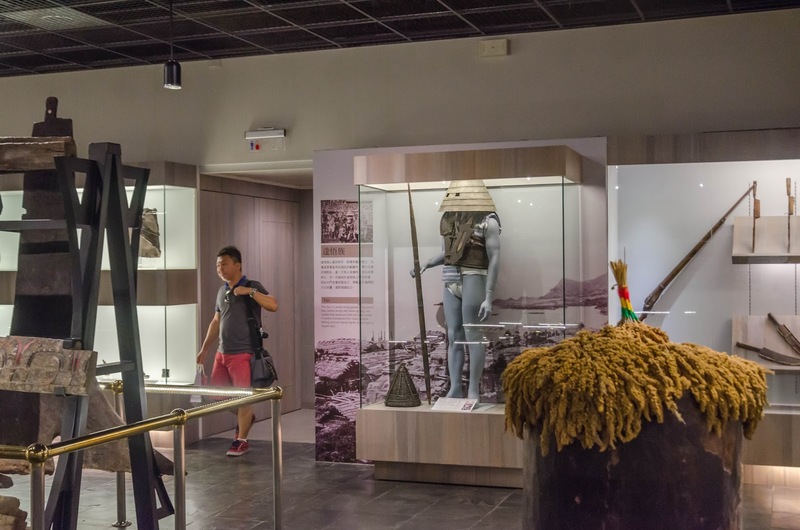 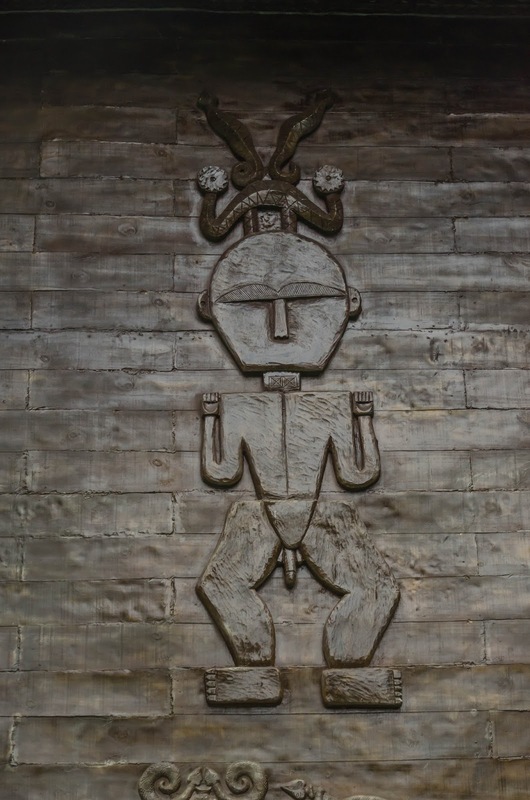 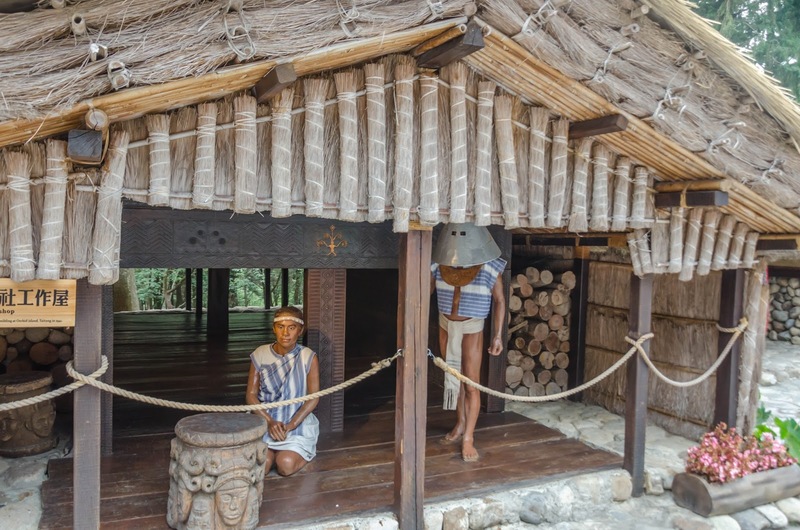 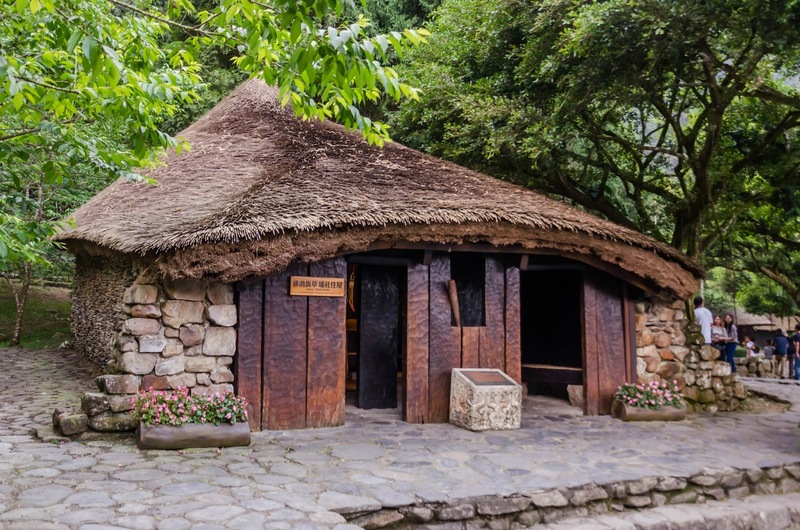 I especially like the reconstructions of the buildings and also the Formosan Aboriginal Museum. 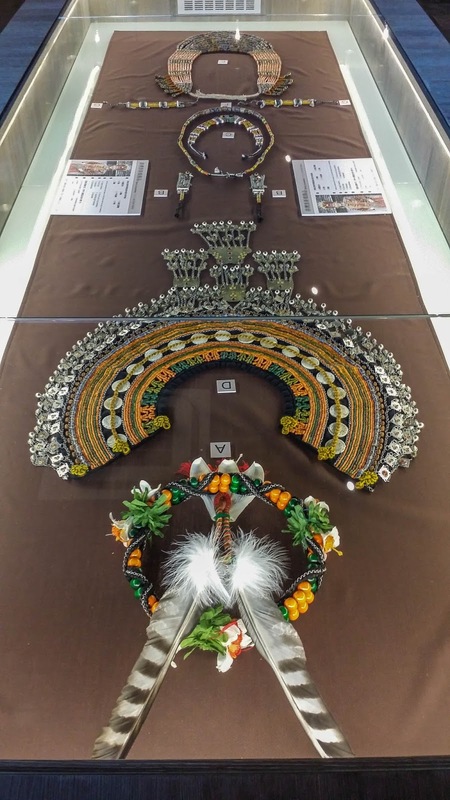 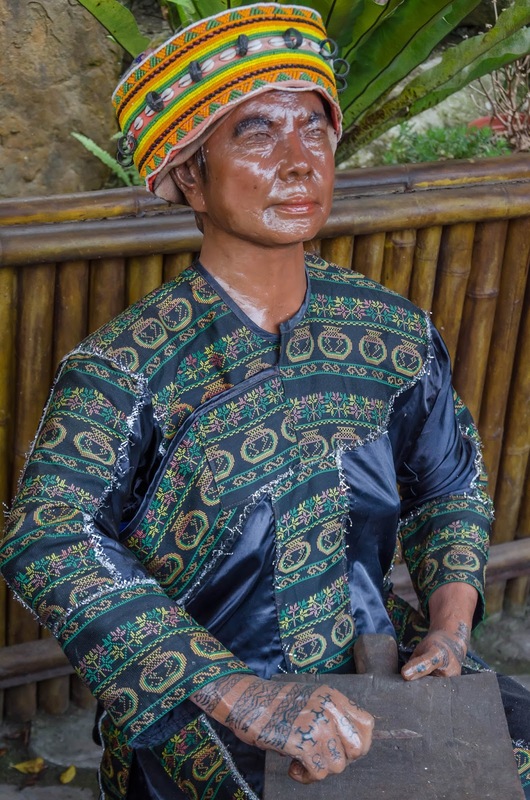 Many things reminded me of Filipino aboriginal culture and achievements. 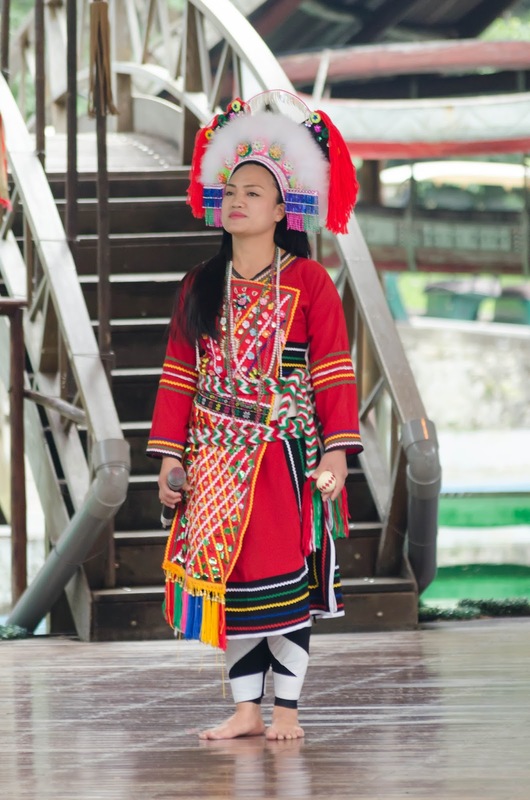 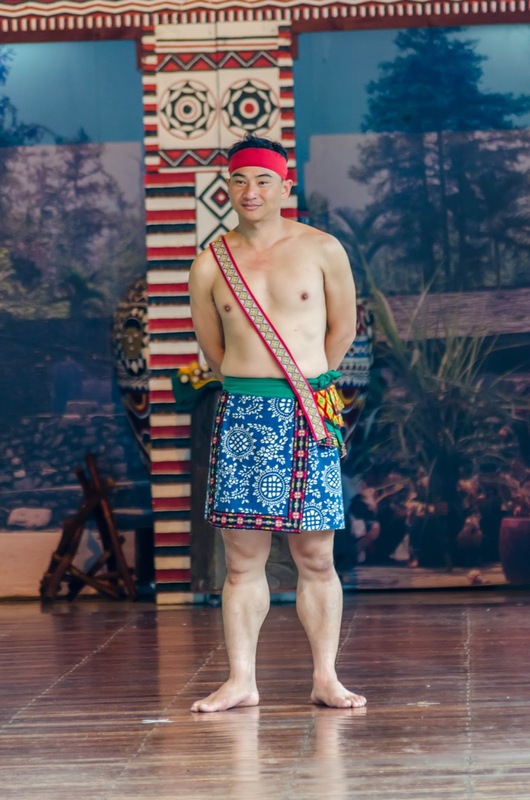 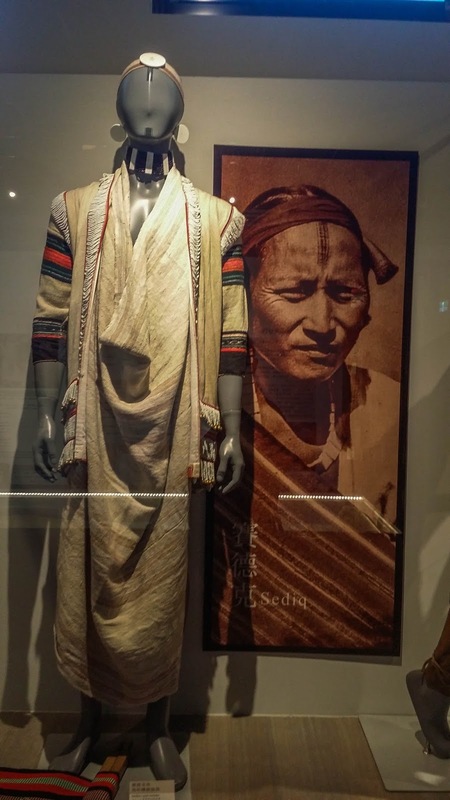 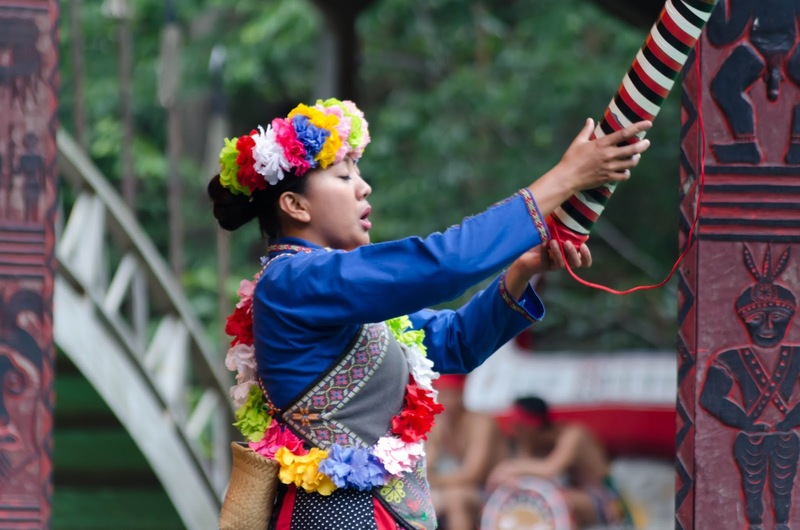 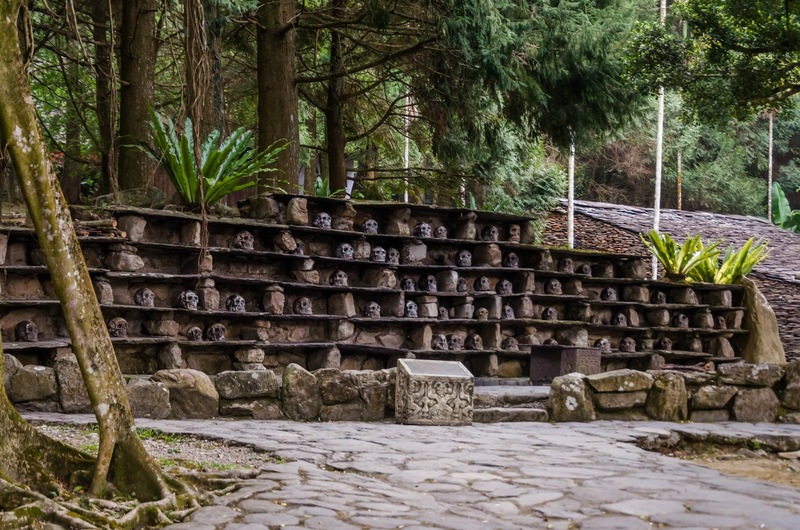 Formosan indigenous people are close relatives of the Malayo-Polynesian race. 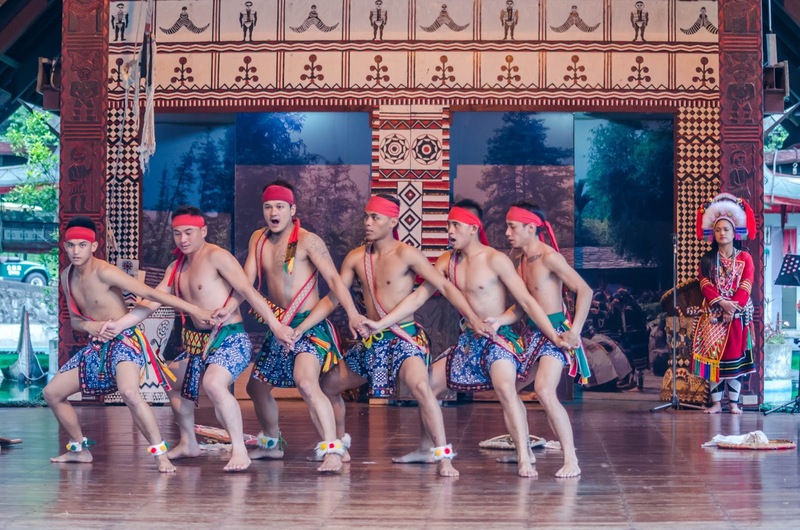 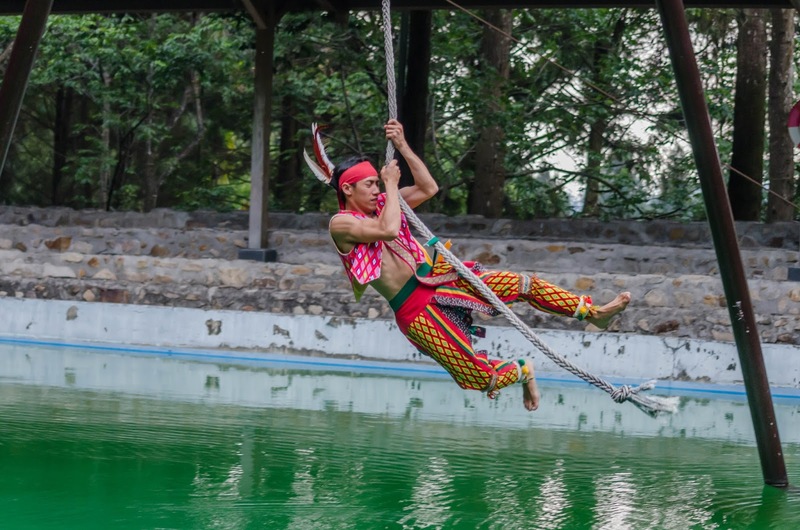 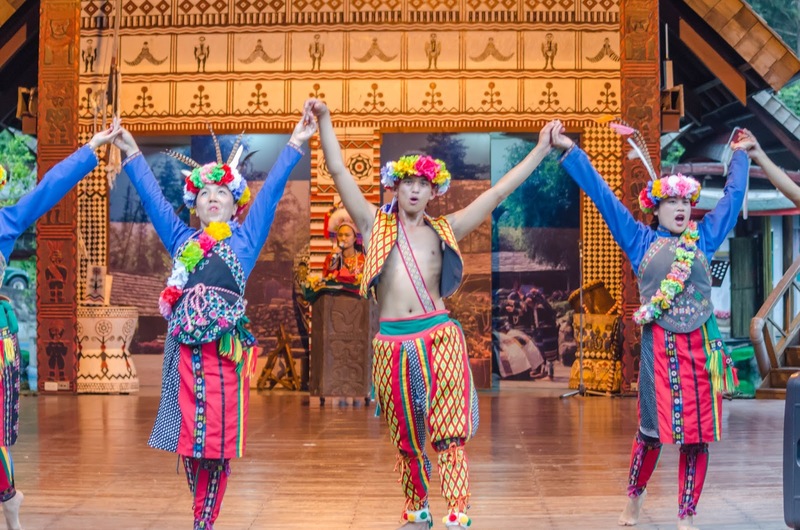 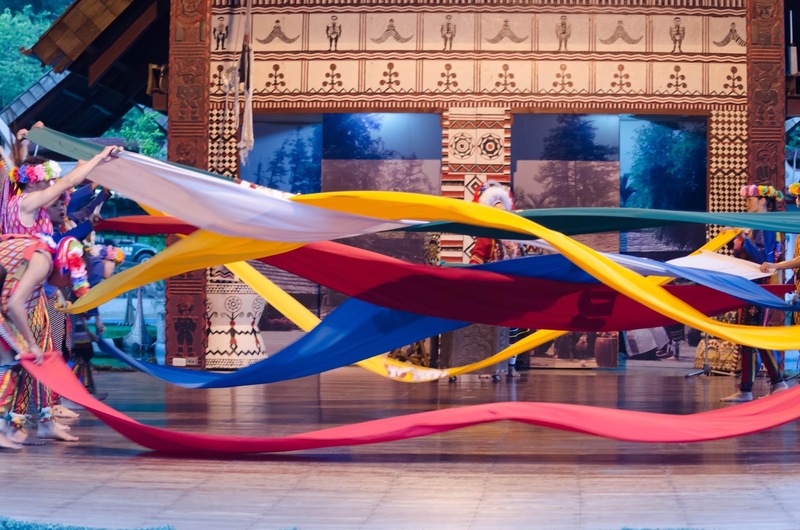 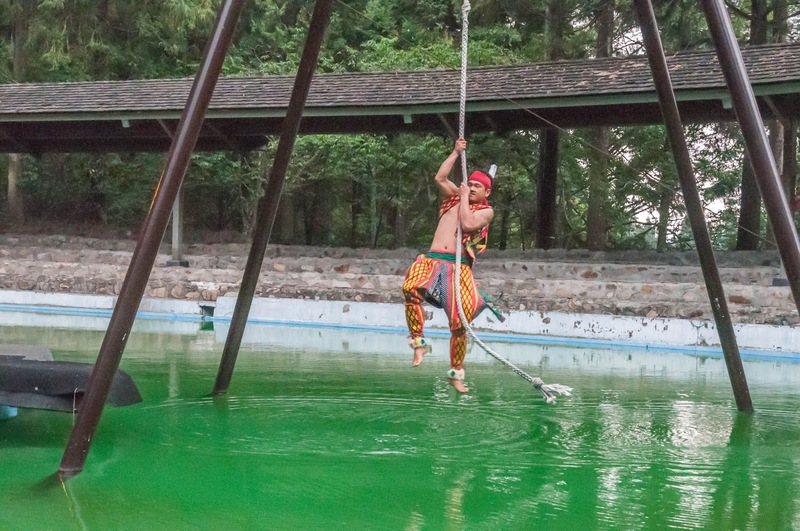 We were able to see the cultural show in the "Naruwan Theater", which featured authentic aboriginal music, dancing and some acrobatics. 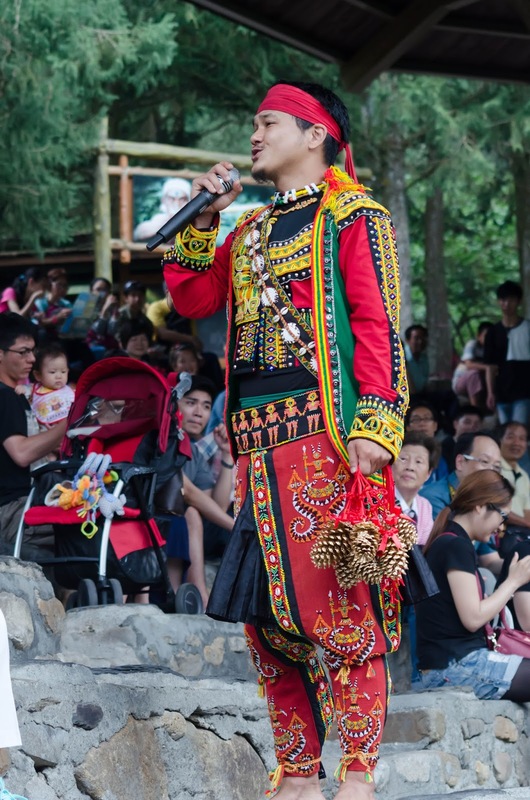 My friend even bought a CD later as a gift for his sister. 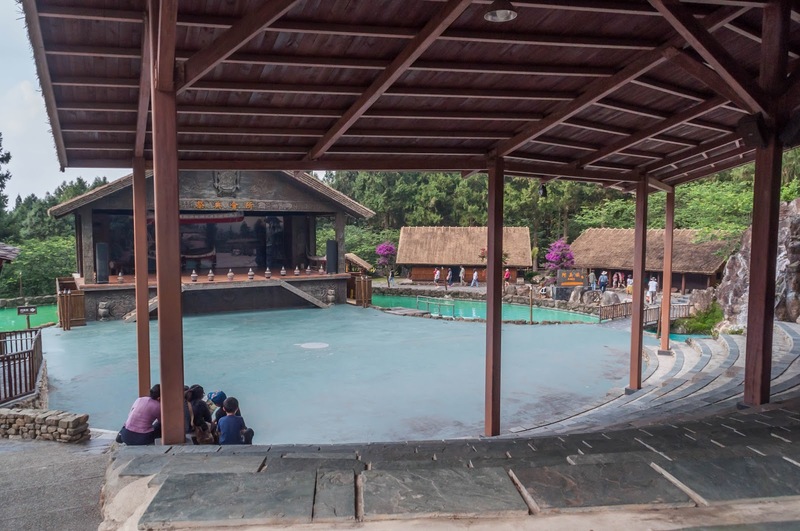 After the show, it started to rain. 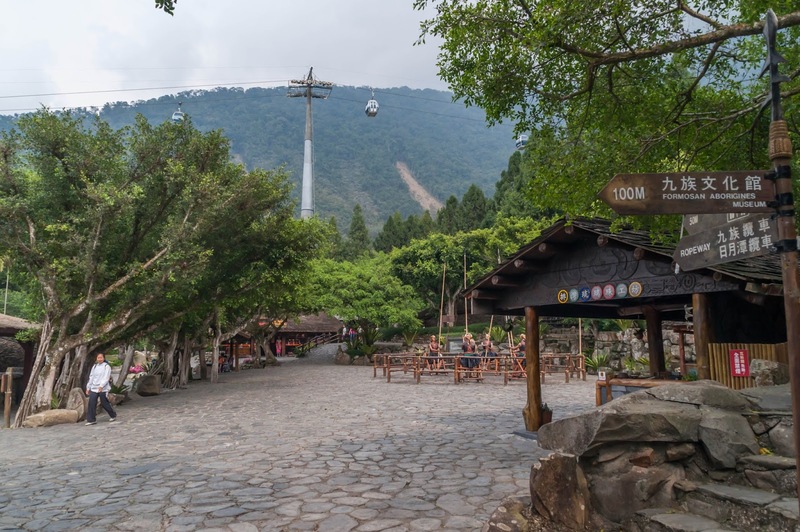 We also didn't want to take the very last ropeway for the day, and so we walked back up to the ropeway station. 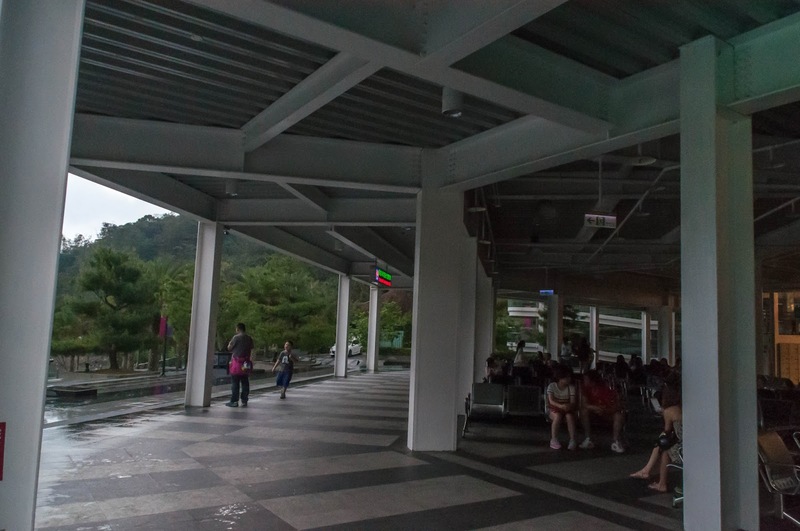 There were electronic displays about a brewing thunderstorm, and the staff rushed everyone to quickly enter the ropeway before it would stop its service due to the weather. 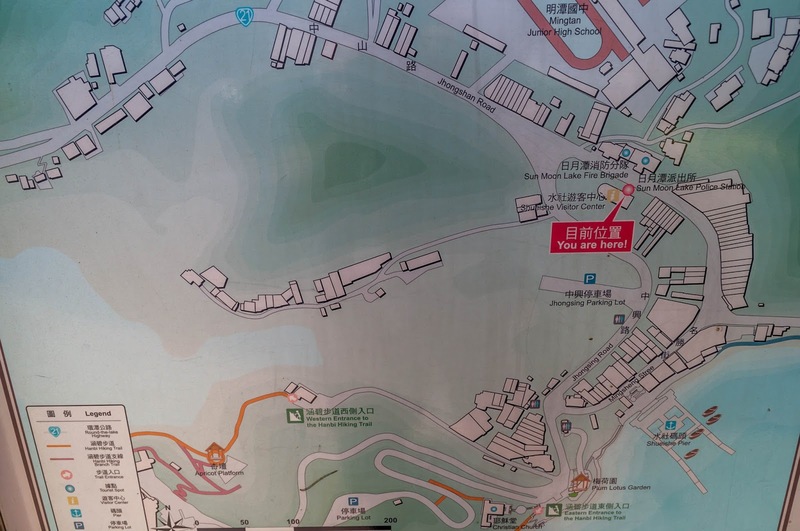 Fortunately, we still got in. 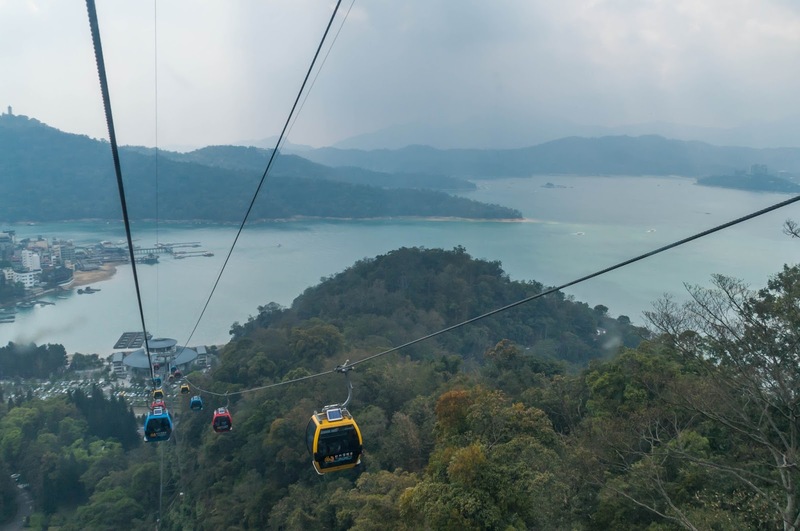 I'm already a bit scared of heights, but the thunderstorm warning, the wind and the rain made the ropeway-trip, let's say, more exciting. 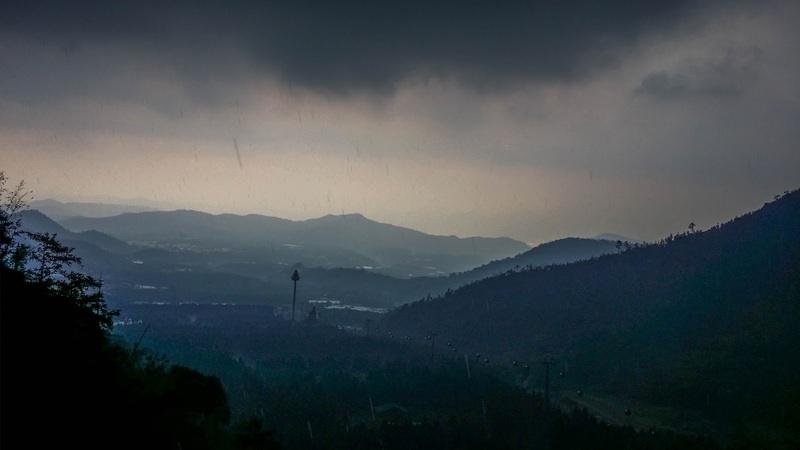 So we - together with a Taiwanese family - were up in the sky above the green mountains, carefully looking out for lightning and thunderstorm, hoping we would be back at the village before it strikes. 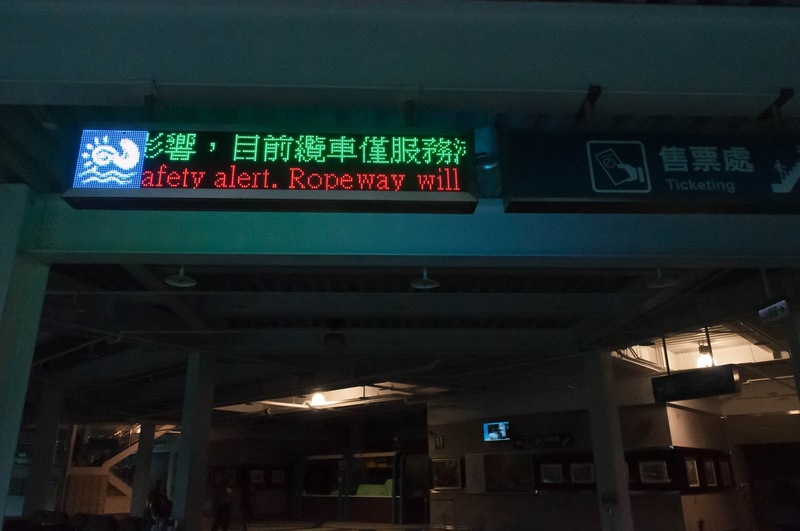 Fortunately, everything went fine. 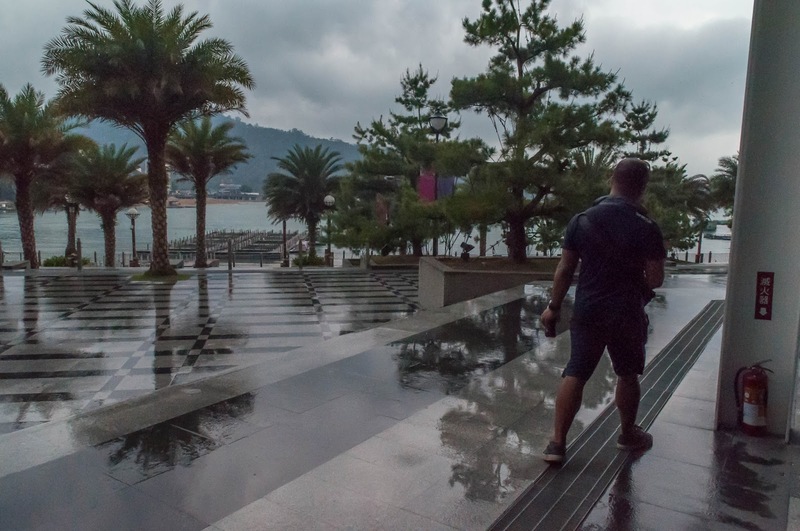 We went to the gift shop of the ropeway station, as it really poured outside. 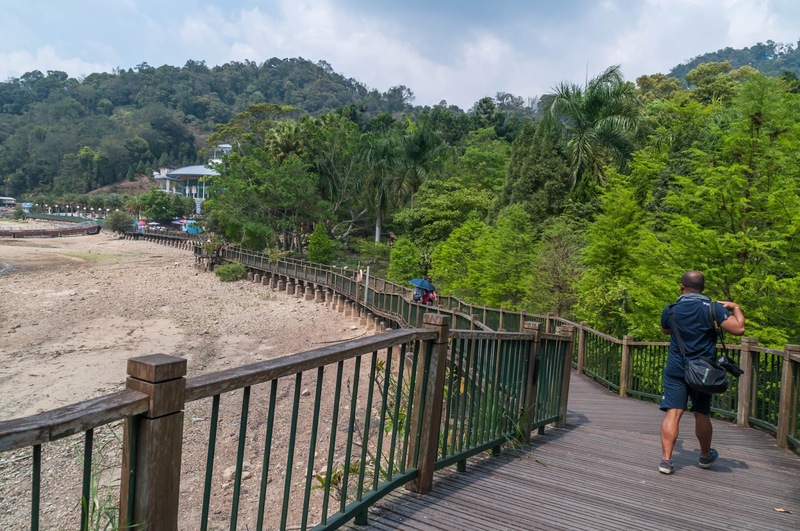 When the rain finally abated, we walked back along the Ita Thao Lakeside Trail to the village and the hotel. 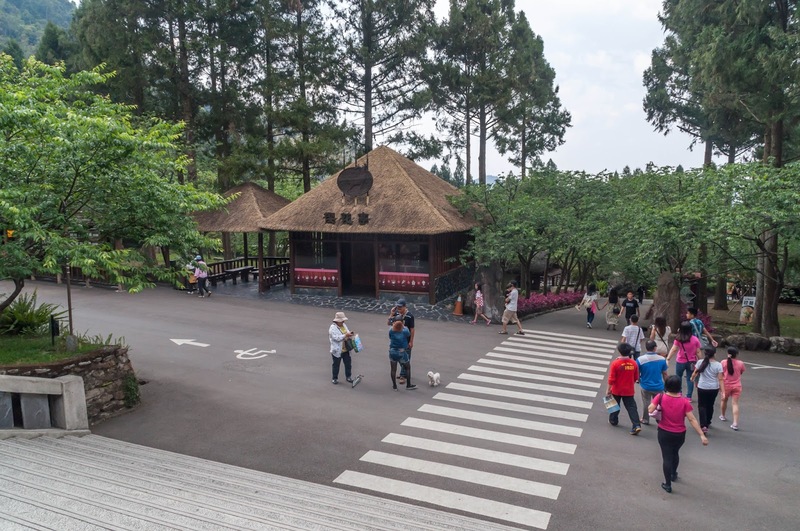 On the way, we were even encouraged to taste some tea at a tea shop, which was delicious. 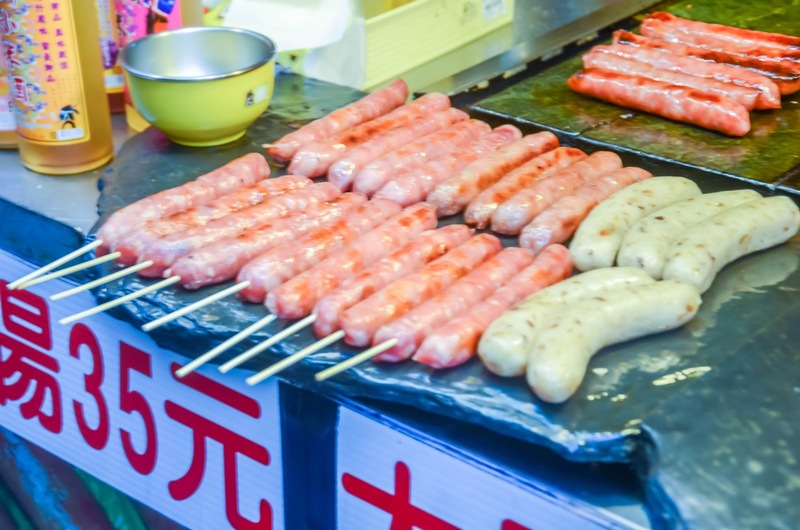 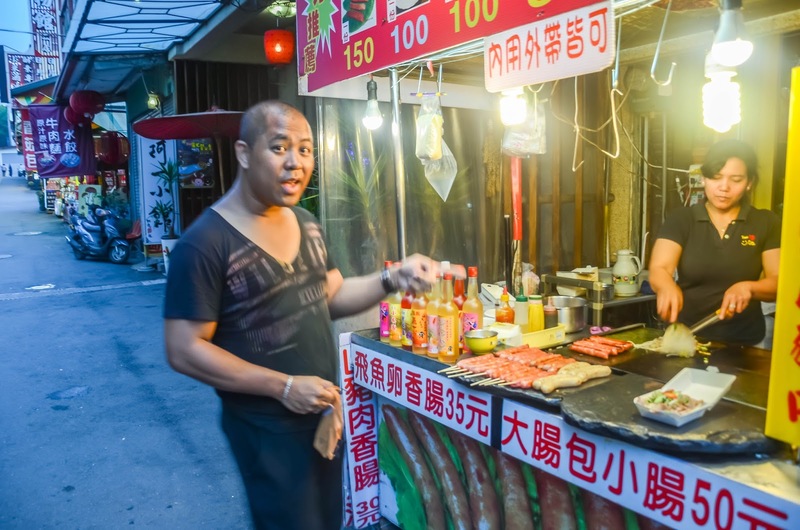 Later we grabbed our dinner, ranging from fried sweet potatoes to sausage on a stick and fruit, at some of the many food stalls inside the village. 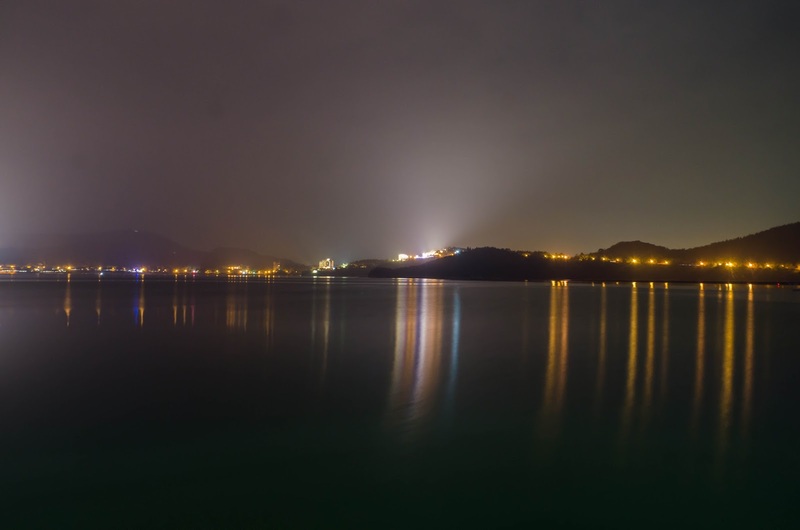 I also took some long exposure shots at the pier in the evening. 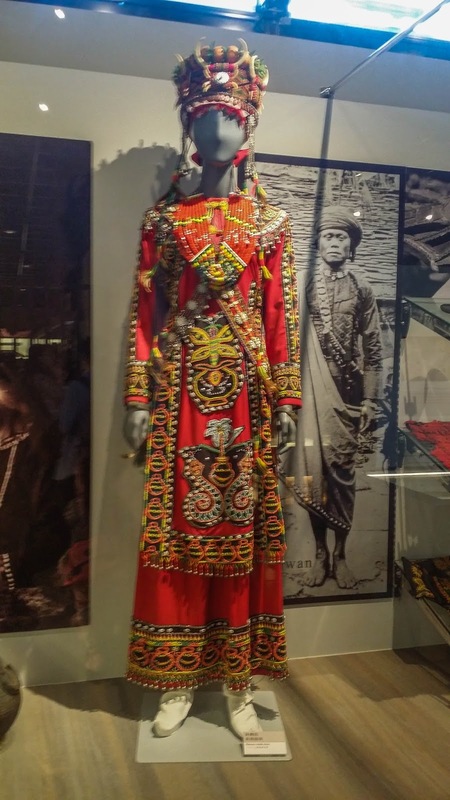 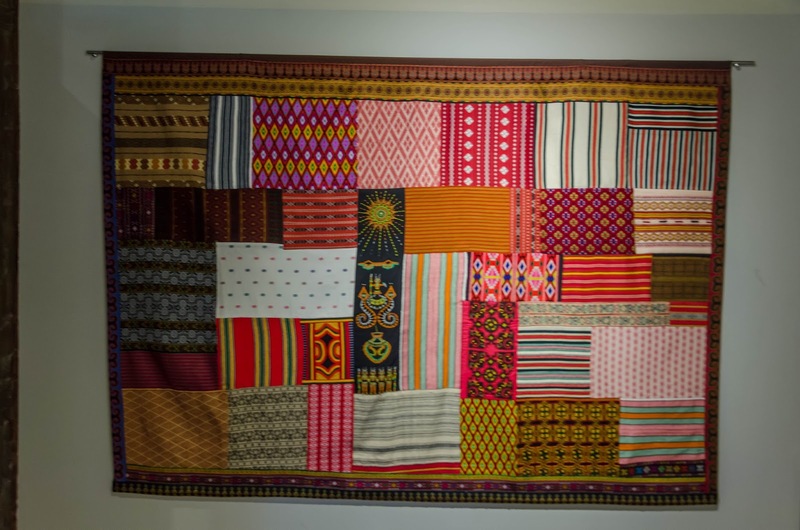 Day 6 - Singapore: Rasa Sayang, Singapura!